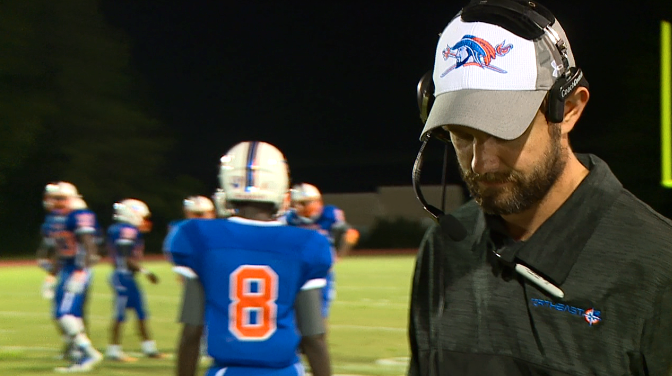 A former Sumter and Coastal Carolina quarterback is coming back to the midlands as a head coach. 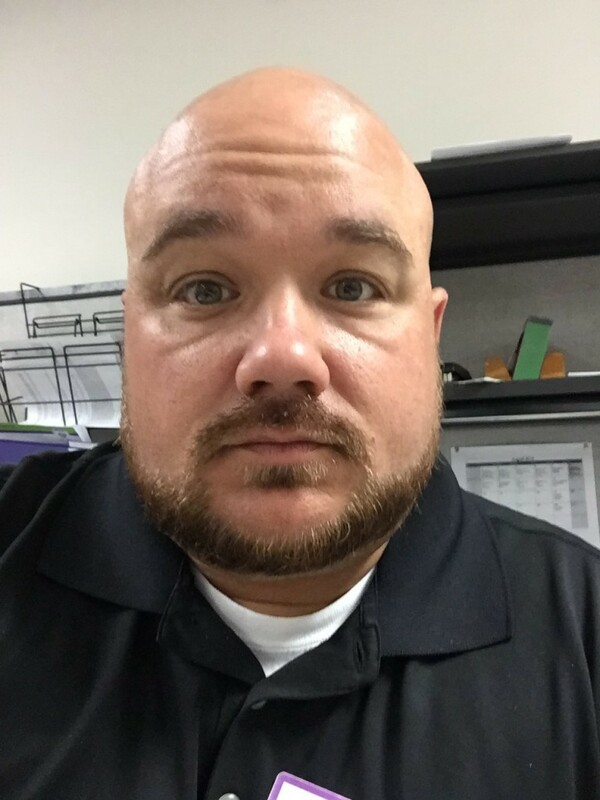 River Bluff offensive line coach Justin Crocker has been named Richland Northeast's new football coach. 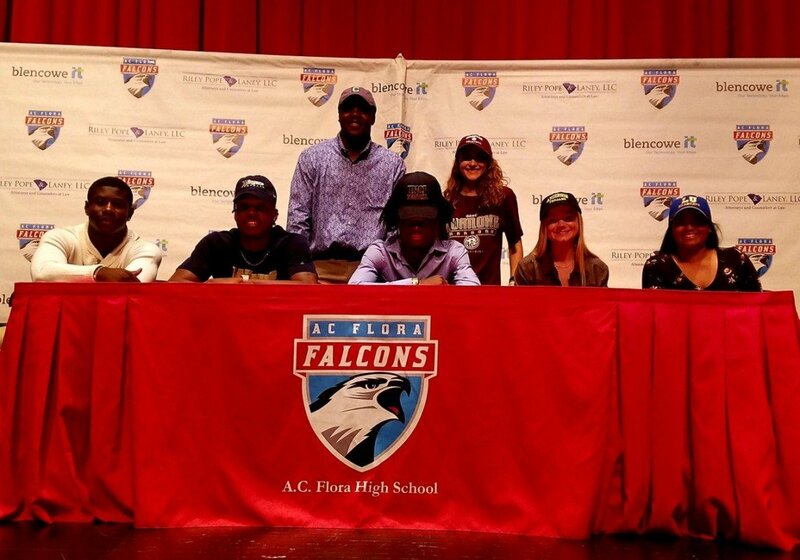 The A.C. Flora Falcons, a part of the Richland County School District One, had nine student athletes represented in National Signing day Wednesday. 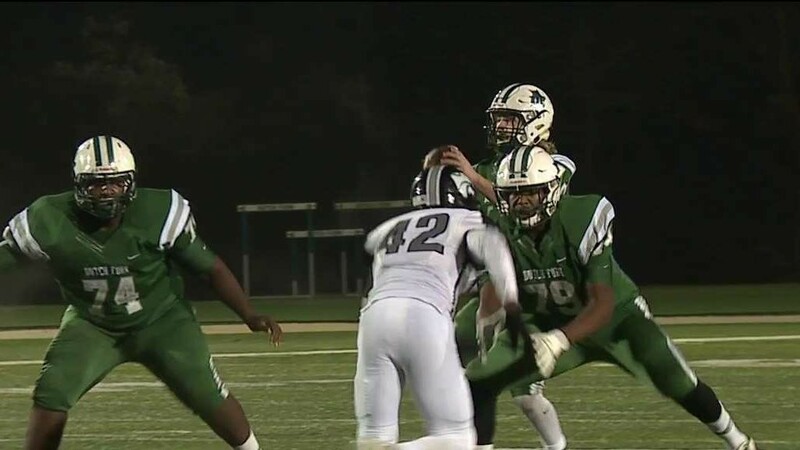 The Dutch Fork Silver Foxes were well represented in National Signing Day on Wednesday reaching double-digits in letters of intent. 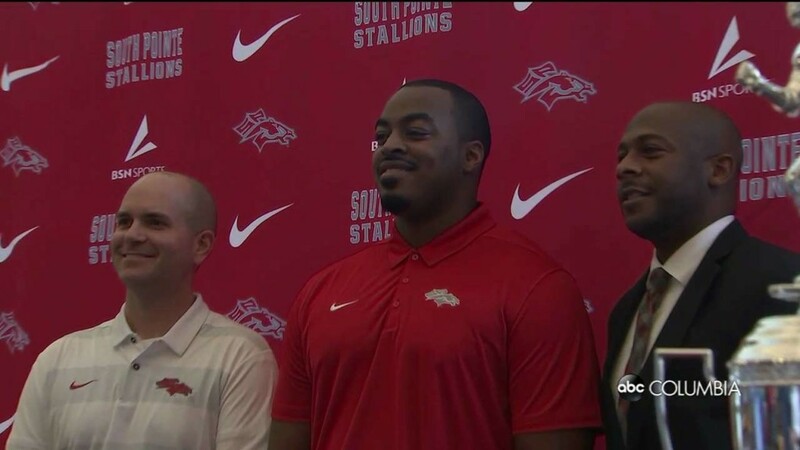 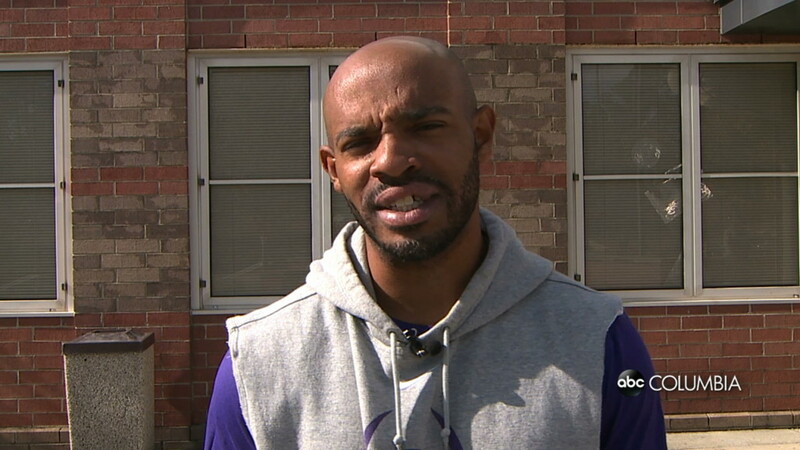 A graduate of South Pointe, DeVonte Holloman accepted the job as head coach of his alma mater Monday, but he hopes his job can go further than coaching. 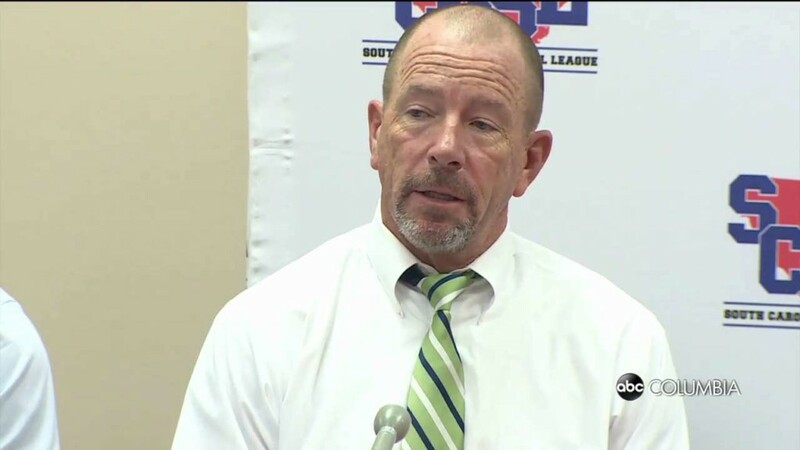 Lexington County District Four announced Swansea football's new football coach Thursday. 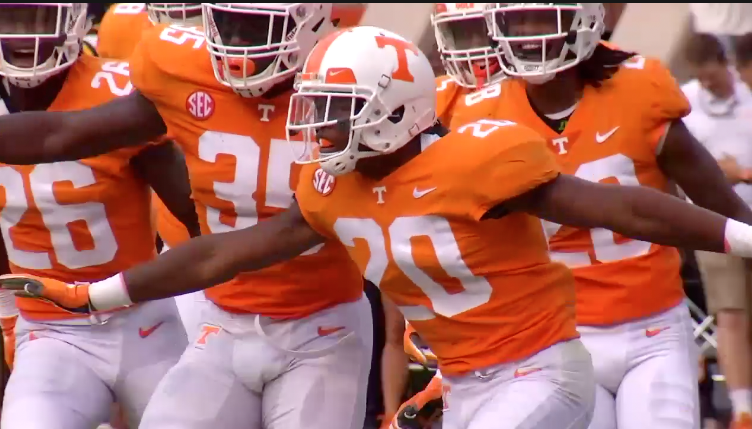 Tennessee defensive back and Dutch Fork grad Bryce Thompson was named to the Football Writers Association of America Freshman All-America Team on Monday following his standout first collegiate season. 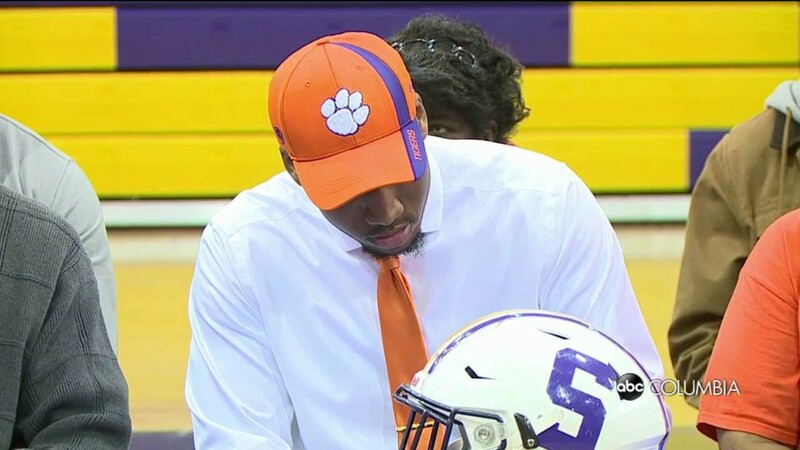 Swansea High's Greg Williams is officially a Tiger, after signing with Clemson Wednesday on National Signing Day. 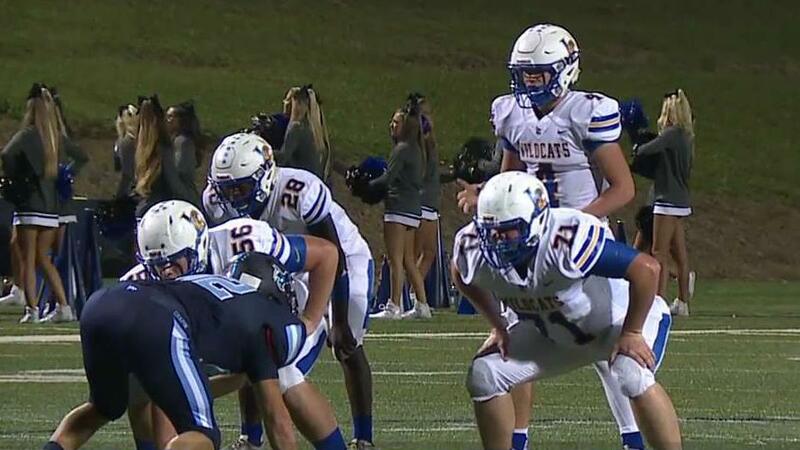 Following their 59-20 win over T.L. 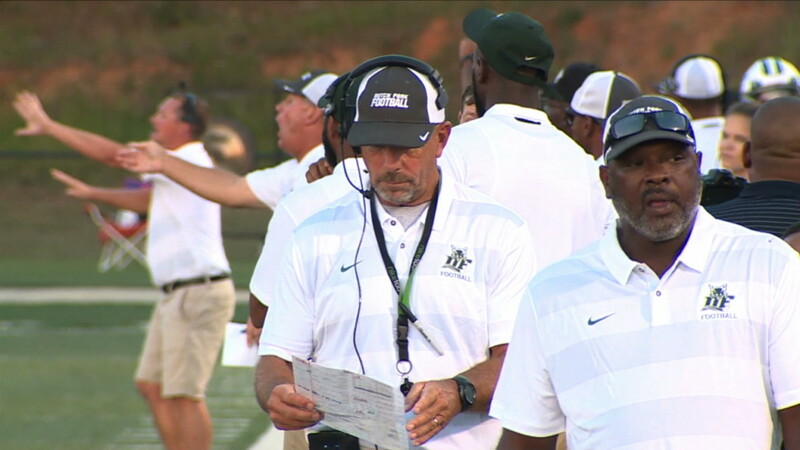 Hanna to claim their third consecutive state championship, Tom Knotts summed up Dutch Fork's dominance in Class 5A, and when he'll start planning for the 2019 season. 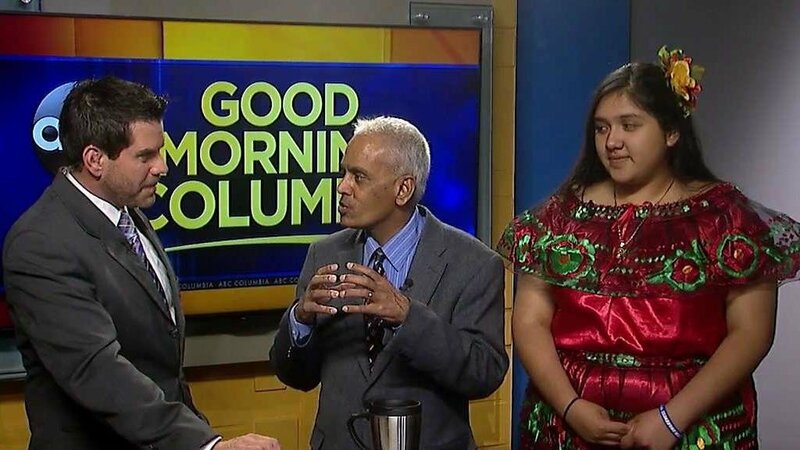 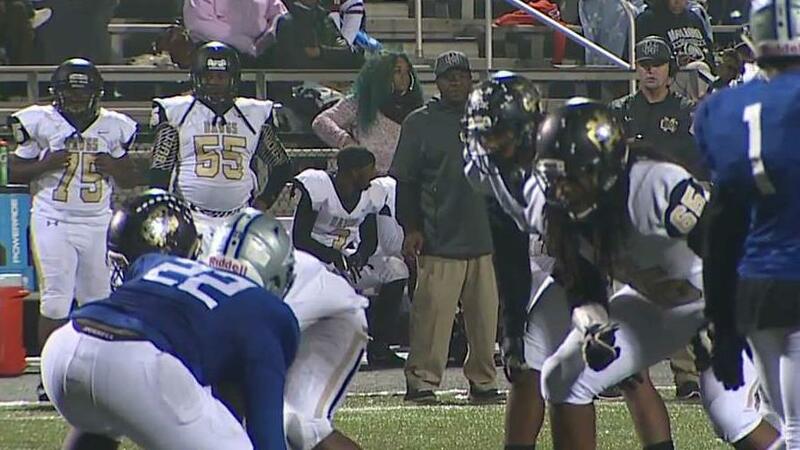 After monitoring the inclement weather predictions for Saturday, the South Carolina High School League has made the necessary schedule change for AAA-AAAA-AAAAA competitions. 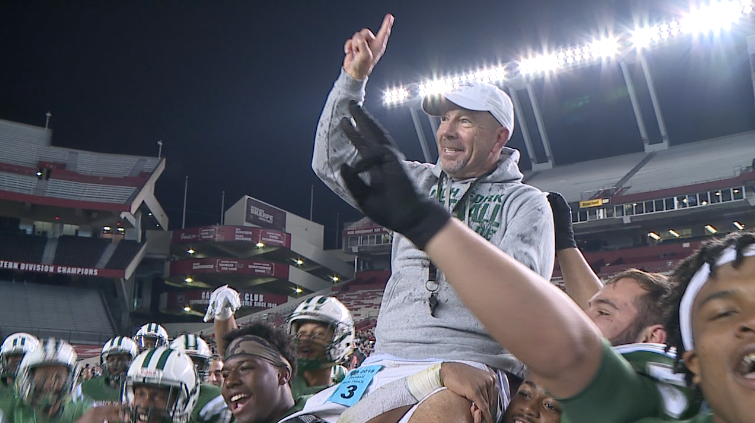 Tom Knotts' Silver Foxes have only scored less than 50 points once this season, in their 47-14 state semifinal win at Summerville last Friday. 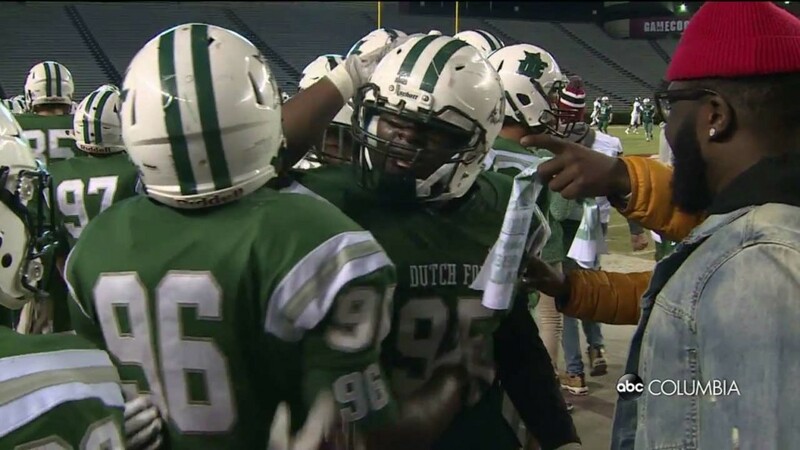 That's in part why Dutch Fork's coach calls the 2018 team "the best offense that I've ever had". 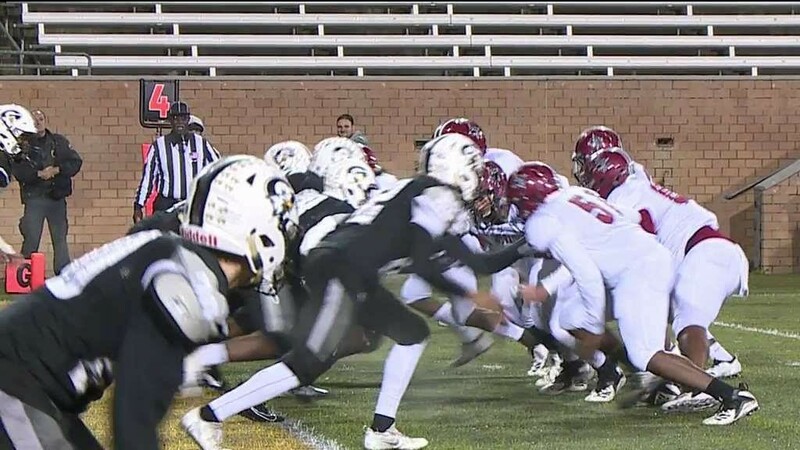 The Silver Foxes are heading back to the 5A State Championship. 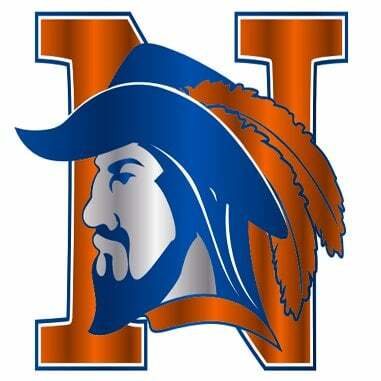 Richland Northeast's Bennett Weigle has resigned after two seasons as the head coach of the Cavs. 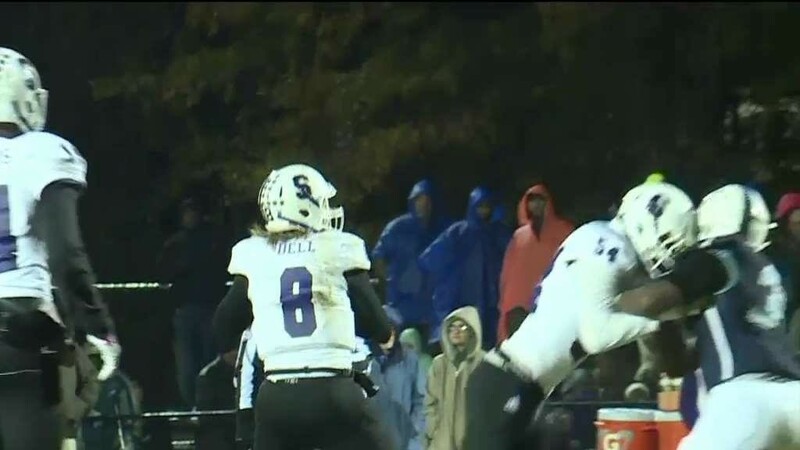 Saluda fell behind early and was never able to catch up in their Class 2A quarterfinals showdown with Southside Christian, falling to the Sabers 34-21. 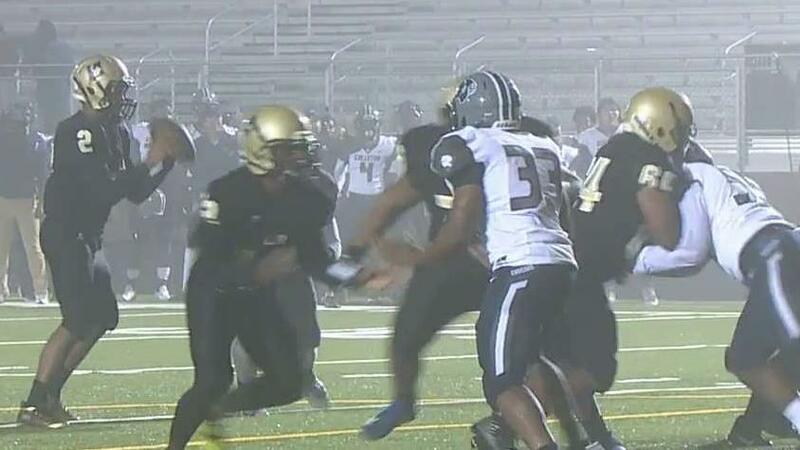 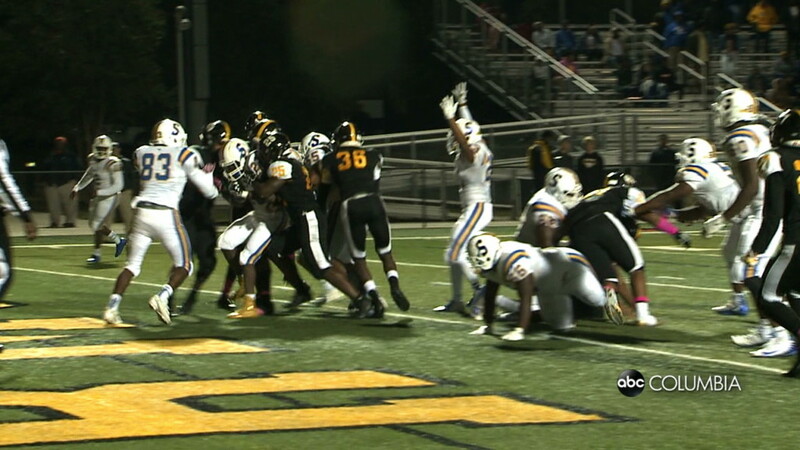 On a rainy, slippery night, points were tough to come by for both Ridge View and Greer, but the Yellow Jackets end up scoring the night's only touchdown, defeating the Blazers 6-3. 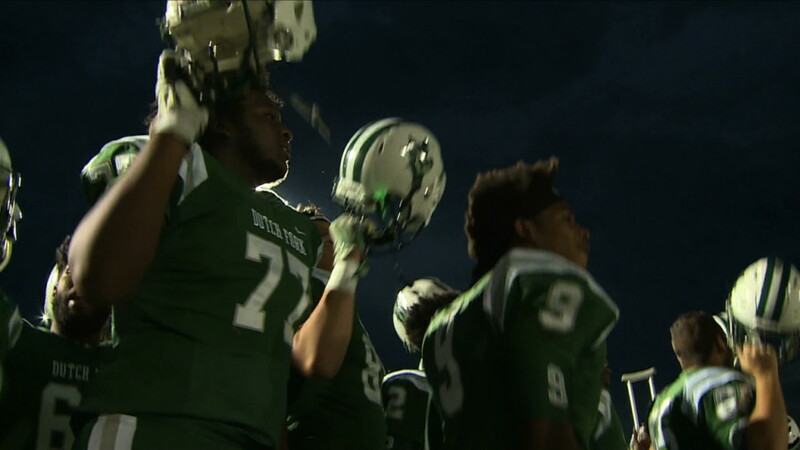 Dutch Fork traveled in the postseason for the first time in five years, but the road trip was no issue for the still unbeaten Silver Foxes. 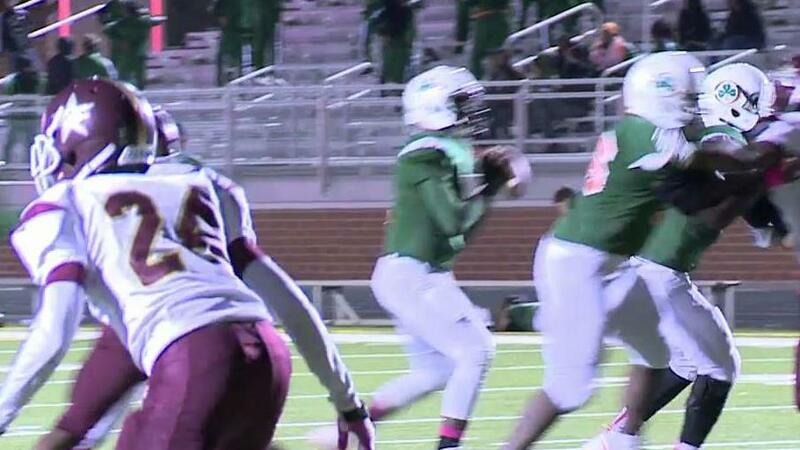 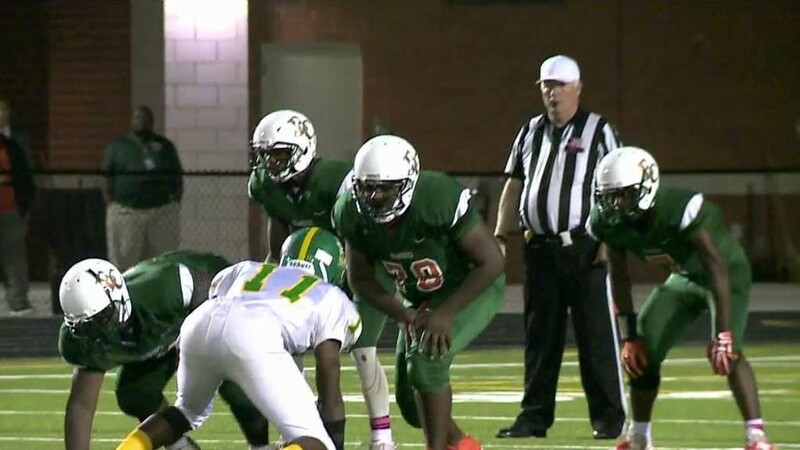 The Dutch Fork Silver Foxes continued to tear through its competition Friday night, rolling past West Ashley 62-20. 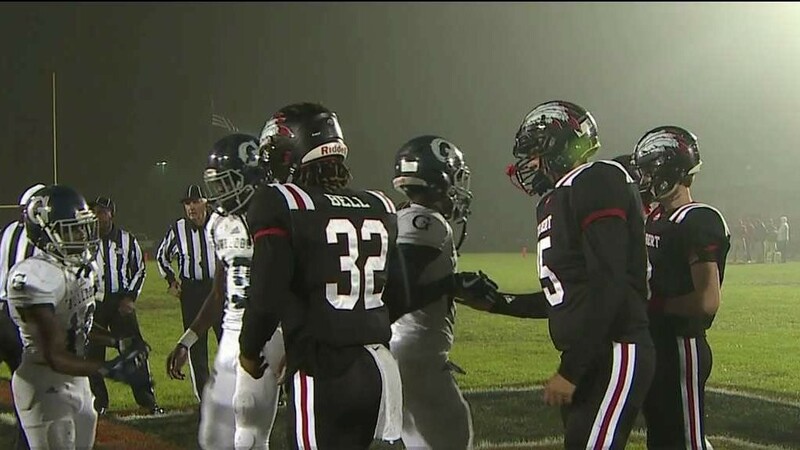 Gray Collegiate's season came to a close Friday night, one game short of the 2A lower state semifinals, falling to Bamberg-Ehrhardt 56-22. 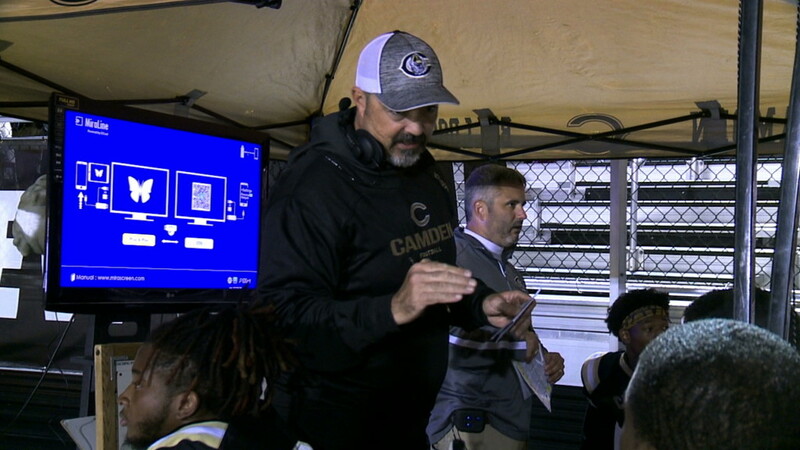 Camden's season came to a close Friday night in the 3A playoffs with a 28-21 loss to the Chapman Panthers. 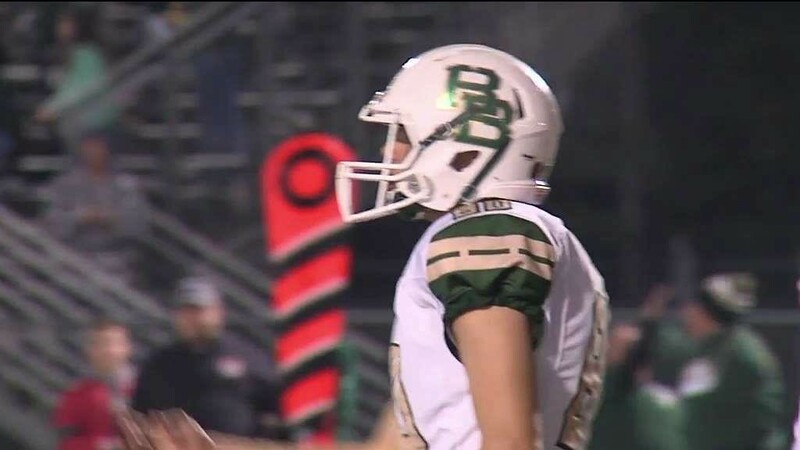 Swansea saw it season end Friday night at the hands of the Dillon Wildcats, which had no problems scoring early and often. 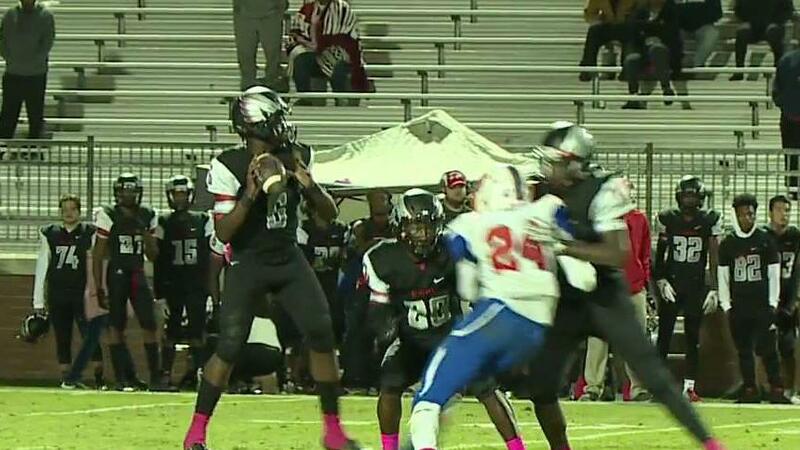 Despite opening their 4A second round playoff game by going up 14-0, Brookland-Cayce's offense wasn't able to keep up with Hartsville's attack Friday night. 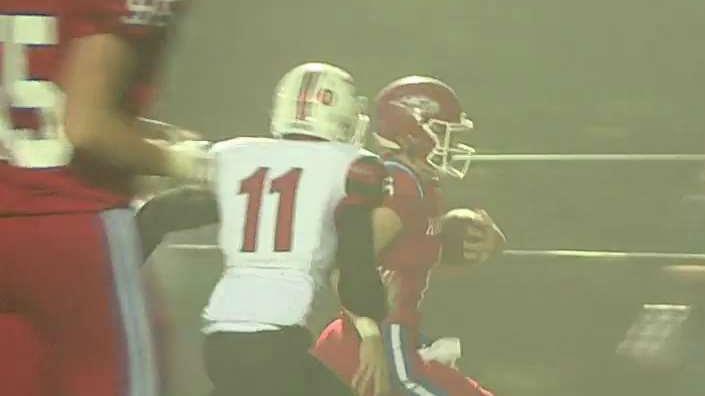 AC Flora had the lead until 2:00 left in Friday night's 4A playoff clash with Wren. 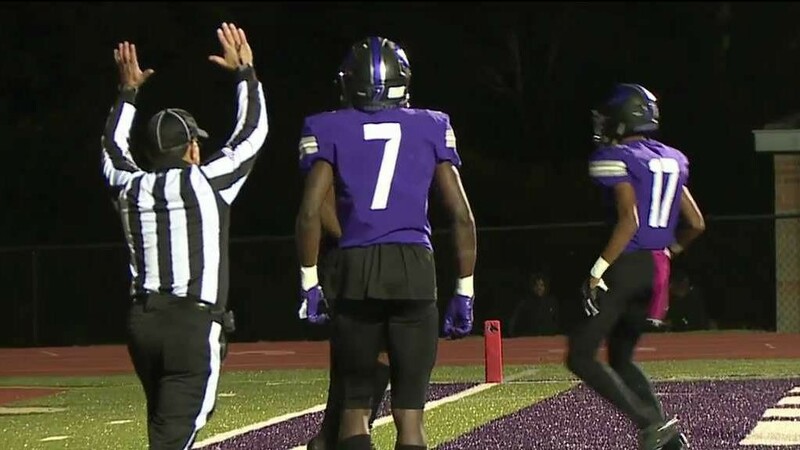 Ridge View worked to earn their trip to the SCHSL 4A quarterfinals after their backs were against the ropes against region rival Westwood. 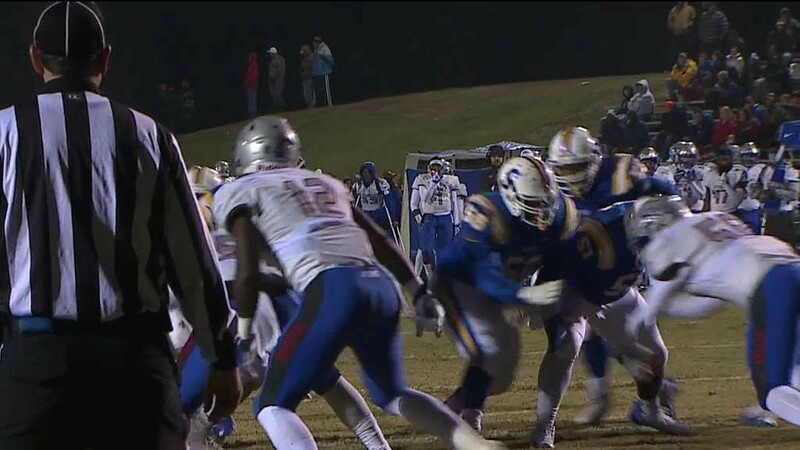 Sumter entered Friday night's second round 5A playoff game with Byrnes undefeated on their season. 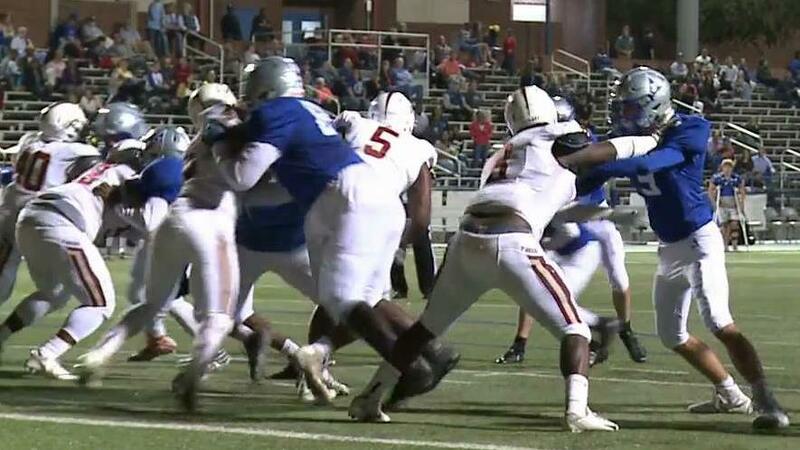 But the Fighting Gamecocks season came to an end by the end of the night. 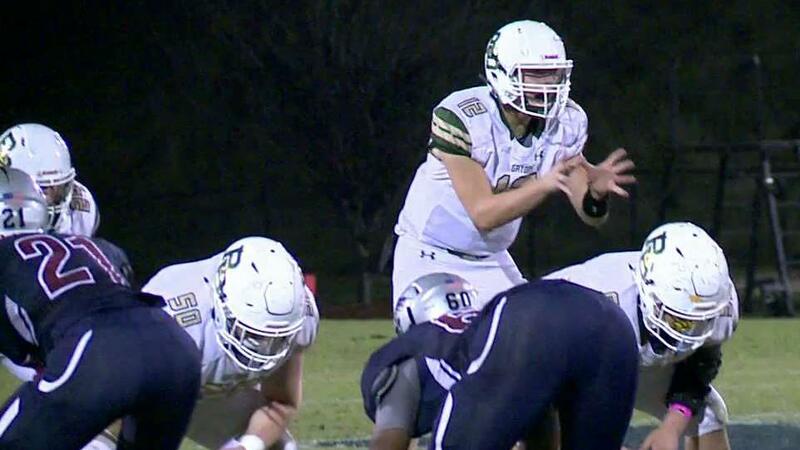 River Bluff's season came to an end Friday night in the 5A playoffs, falling to Berkeley, 32-14. 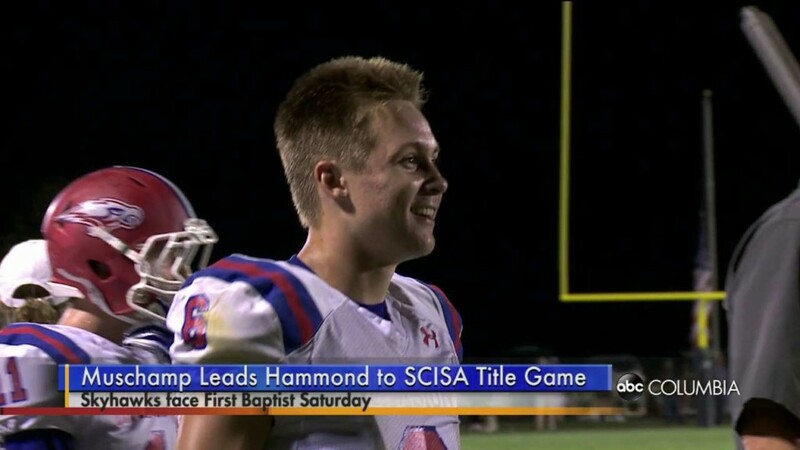 On Saturday night, Jackson Muschamp, USC head coach Will Muschamp's son, will quarterback the Hammond Skyhawks in the 3A SCISA title game. 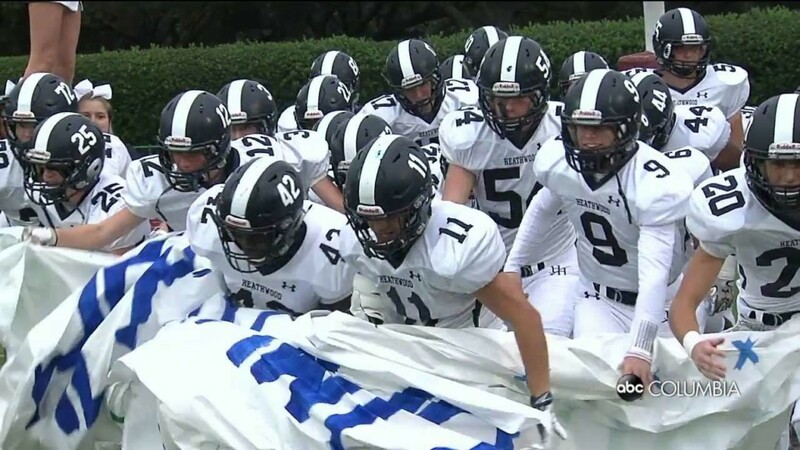 The Skyhawks are looking for their 12th SCISA championship in the last 15 years. 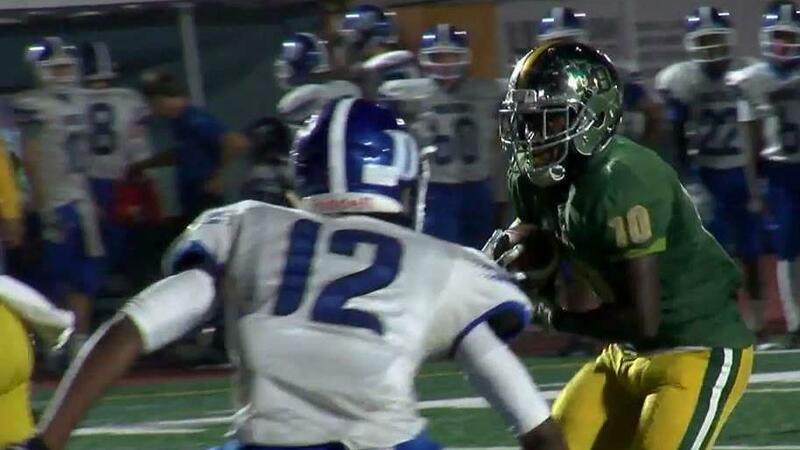 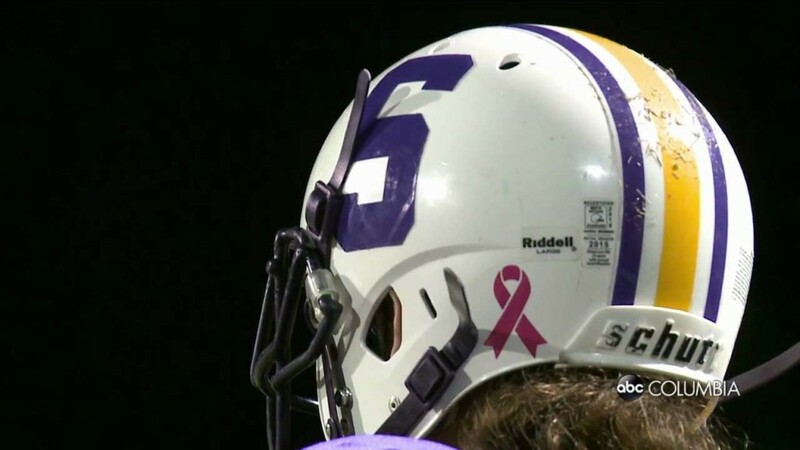 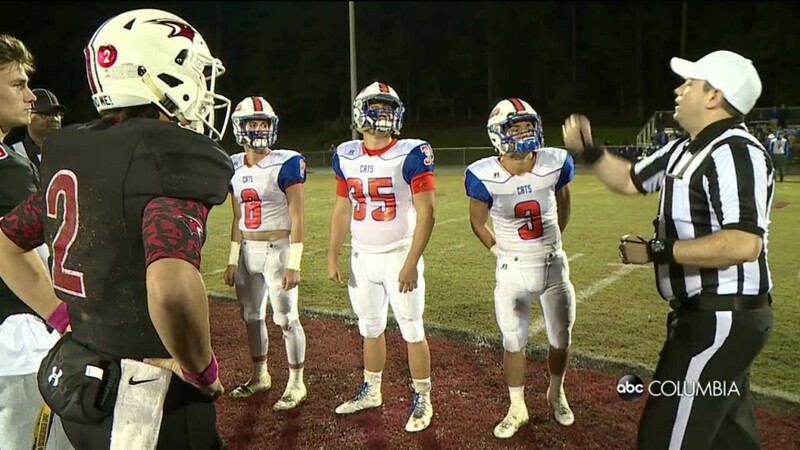 On Friday night, two region rivals square off in the second round of the playoffs. 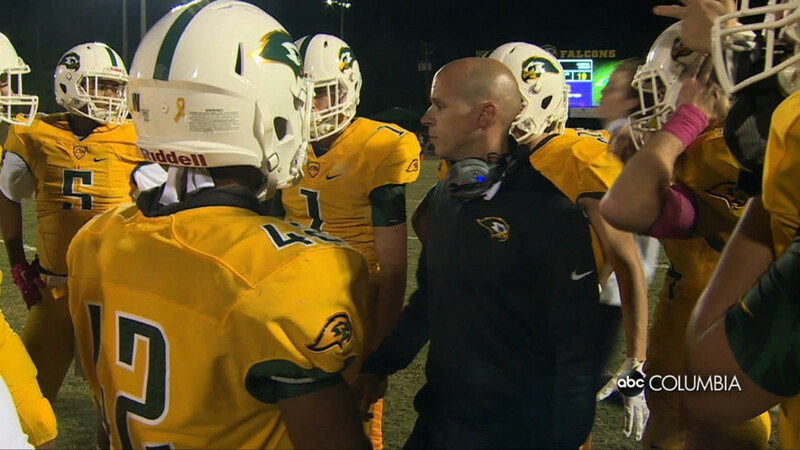 The Hammond Skyhawks defeated Cardinal Newman, 49-12 Friday night in the 3A SCISA semifinals at Eden Stadium. 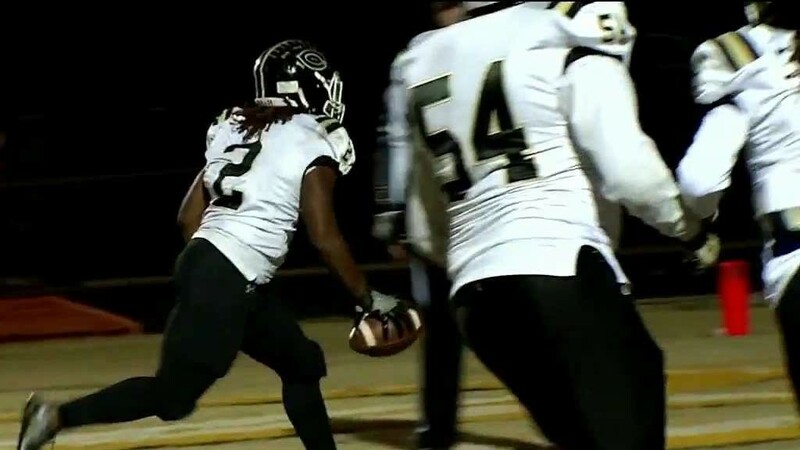 Calhoun County dominated Friday night's opening round of the playoffs, cruising to a 48-14 road win over Burke. 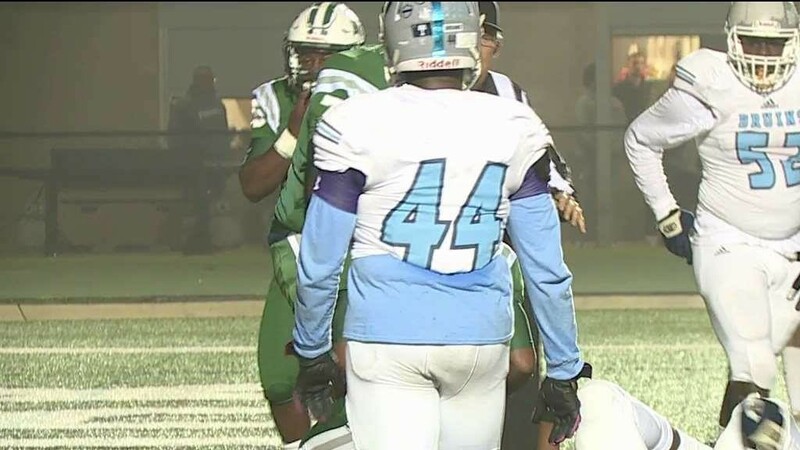 Gray Collegiate won the first playoff game in school history Friday night, after taking down Latta, 43-21 at Charlie W. Johnson Stadium. 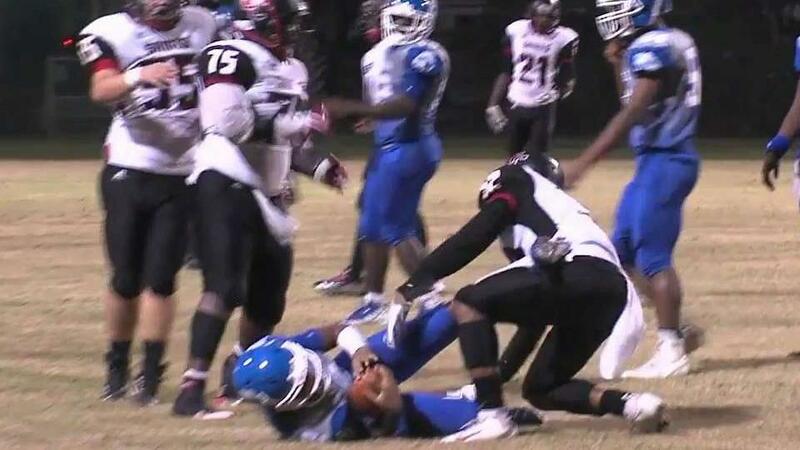 Southside High school cut Newberry's playoff run short. 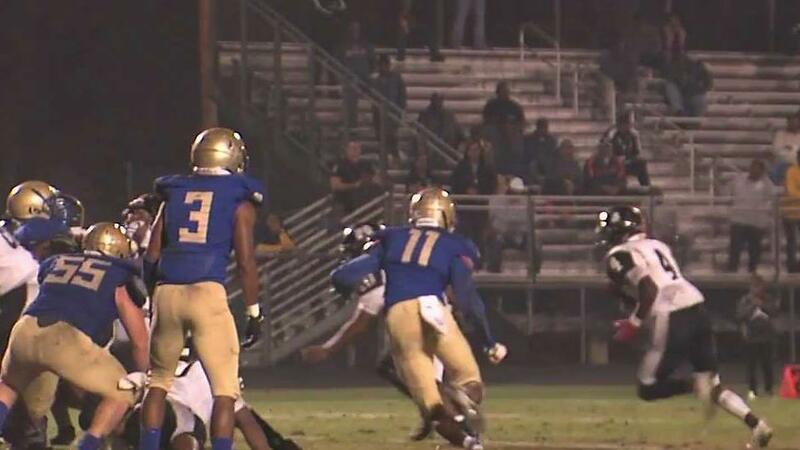 Dreher's playoff dreams ended early after traveling to Myrtle Beach. 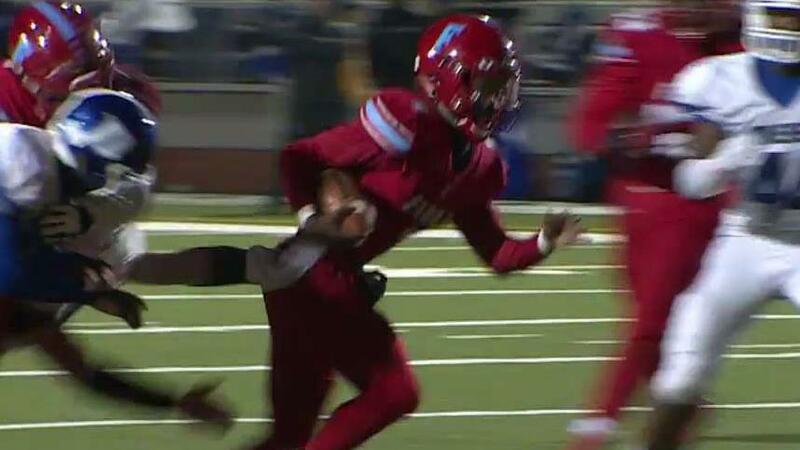 The AC Flora Falcons defeated the Lancaster Bruins, 44-14. 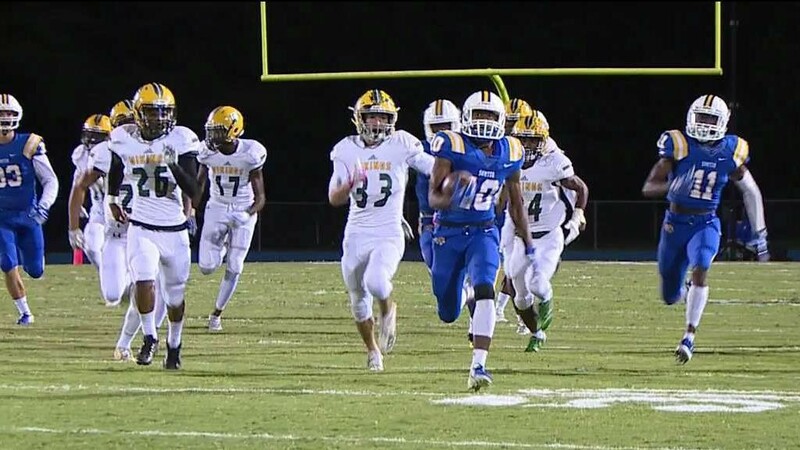 The Wildcats and Panthers were locked in a tightly contested game that was ultimately decided by a Panthers two-point conversion in overtime. 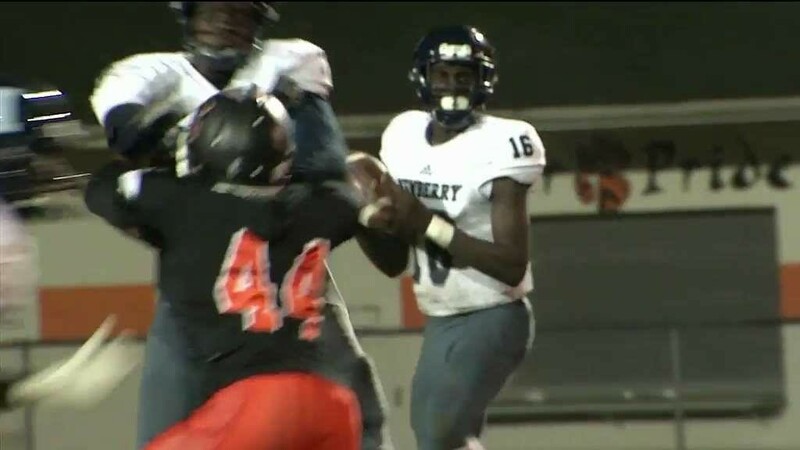 Trinity-Brynes built an early lead and protected it in, while visiting Orangeburg Prep saw their season end via a 34-7 loss to the Titans. 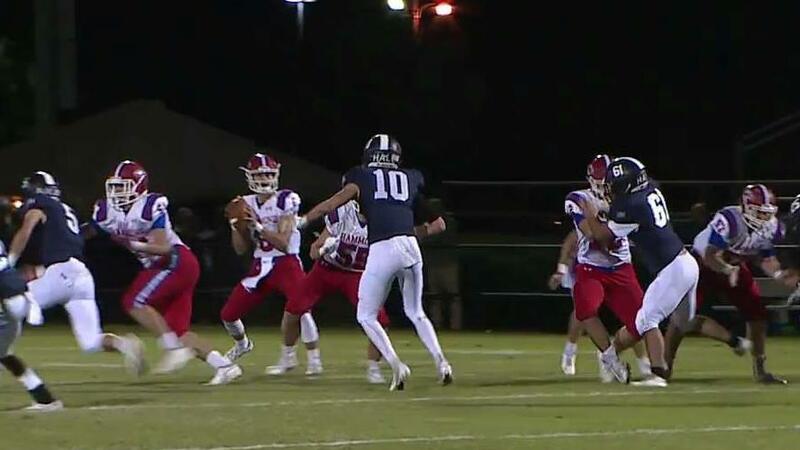 Porter-Gaud ended Heathwood Hall's first playoff trip in three years in their opening round game of the SCISA 3A State Championships, as the Cyclones defeated the Highlanders 49-21. 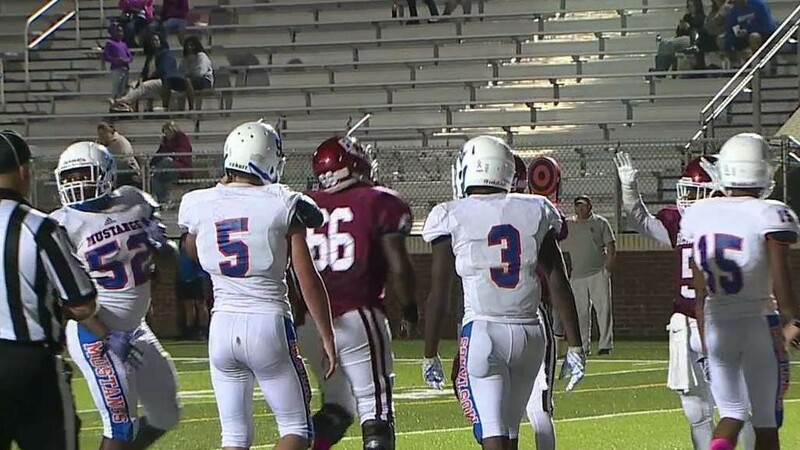 Cardinal Newman scored 40 unanswered points to defeat Laurence Manning 40-14 in their SCISA 3A State opener Friday night. 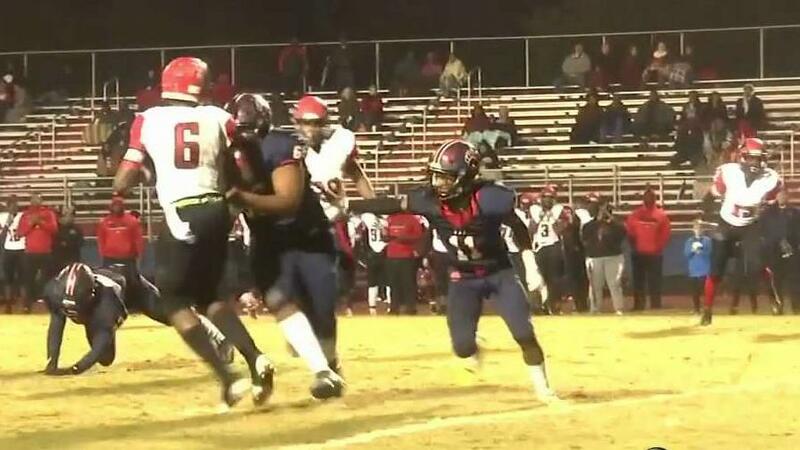 Hammond continued their perfect season by keeping the other end of the scoreboard clean the whole night, blanking Wilson Hall 37-0 in the opening round of the SCISA 3A State Playoffs. 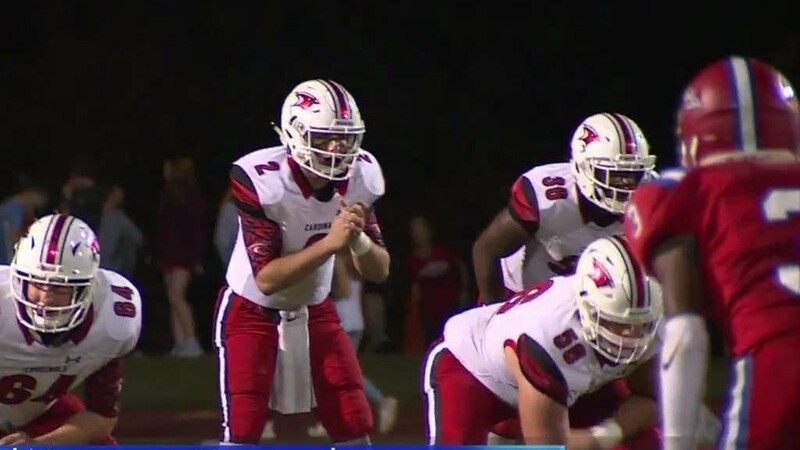 Westwood clinched a trip to the the SCHSL 4A State Championships with a 29-0 shutout over a South Aiken team that had already locked up their own postseason bid. 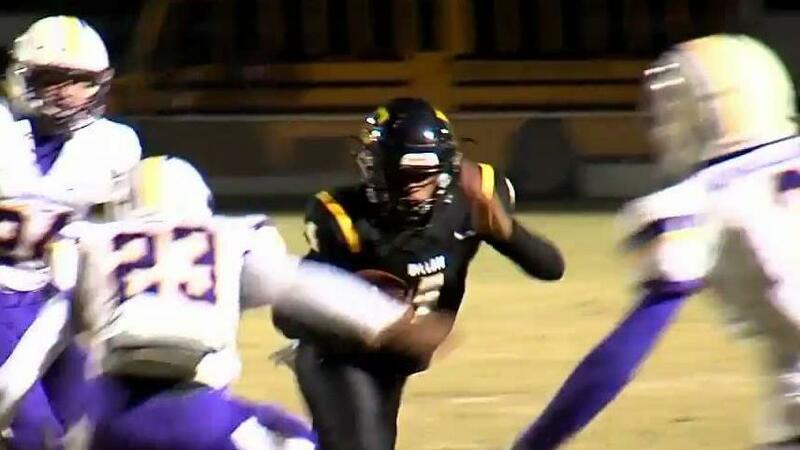 Both Swansea and Calhoun County had each locked up postseason spots before playing Friday night, but the Tigers won the regular season finale 42-22. 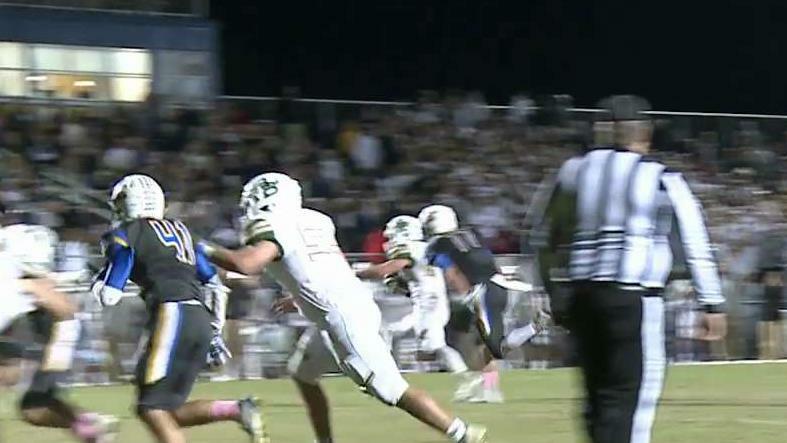 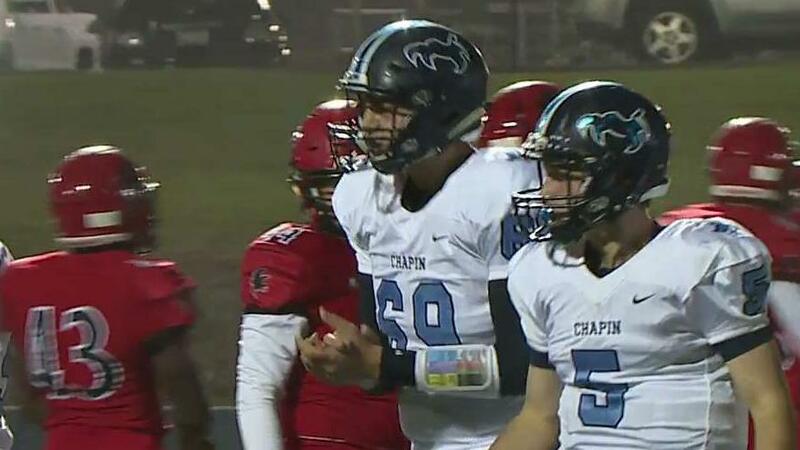 Spring Valley earned an at-large playoff berth into the 5A SCHSL State Championship by blanking Chapin 34-0 in the regular season finales for both Midlands teams. 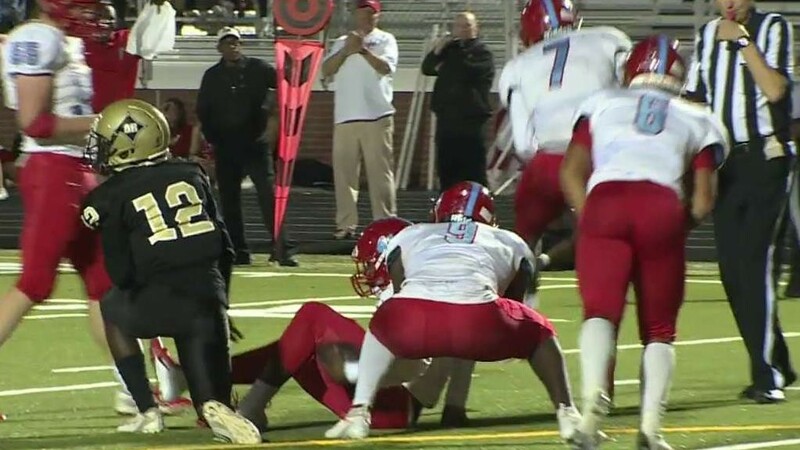 AC Flora scored two quick touchdowns in the first quarter to pull ahead of RNE Thursday night, and they were just getting started. 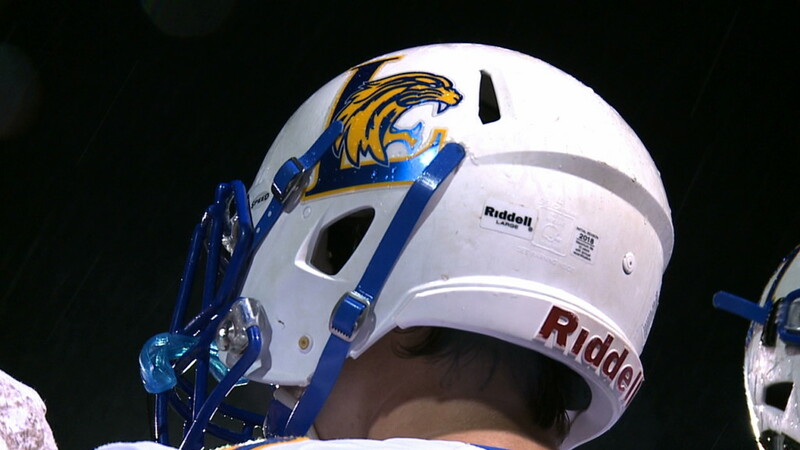 The Lexington Wildcats topped Batesburg-Leesville on the road, 38-14 in its season-finale. 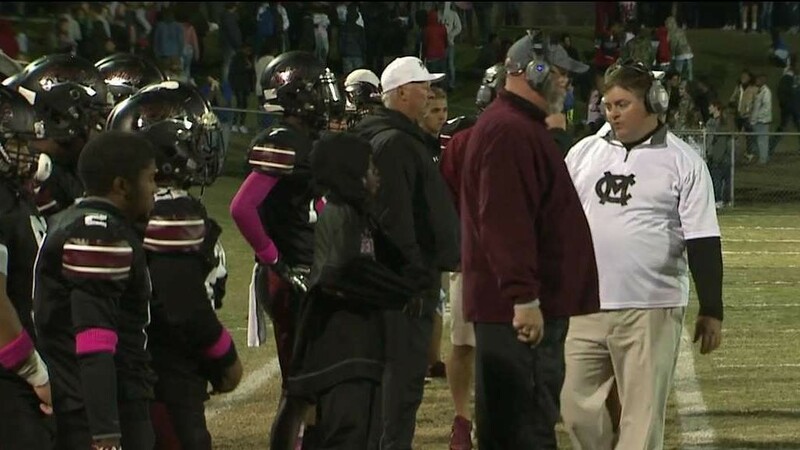 Airport went to Brookland-Cayce and beat the Bearcats 38-27 to claim a share of the 4A Region 5 title Sunday. 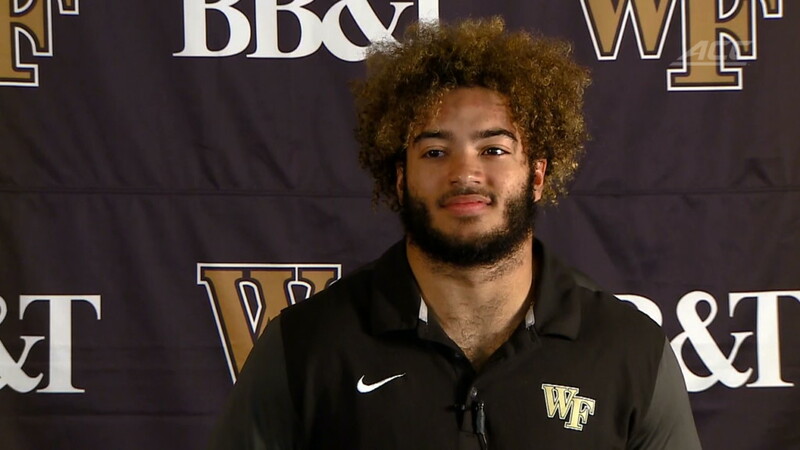 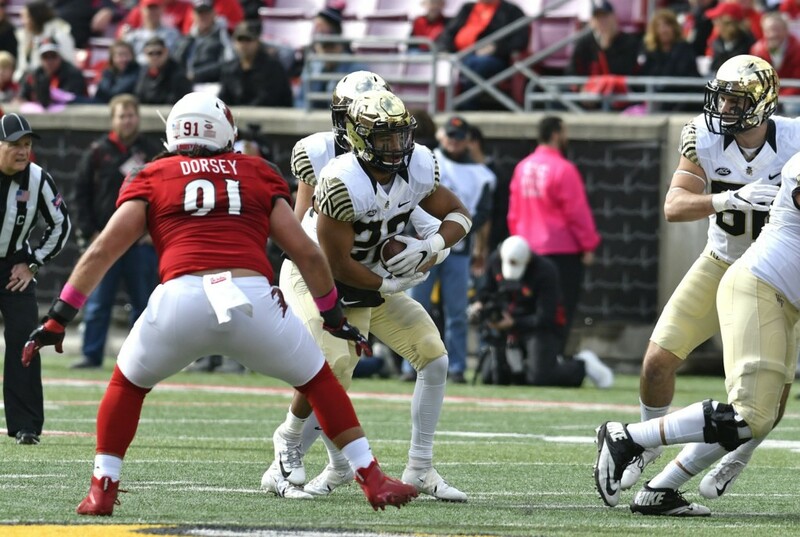 Wake Forest running back Matt Colburn II couldn’t believe the space he had on many of his carries against Louisville. 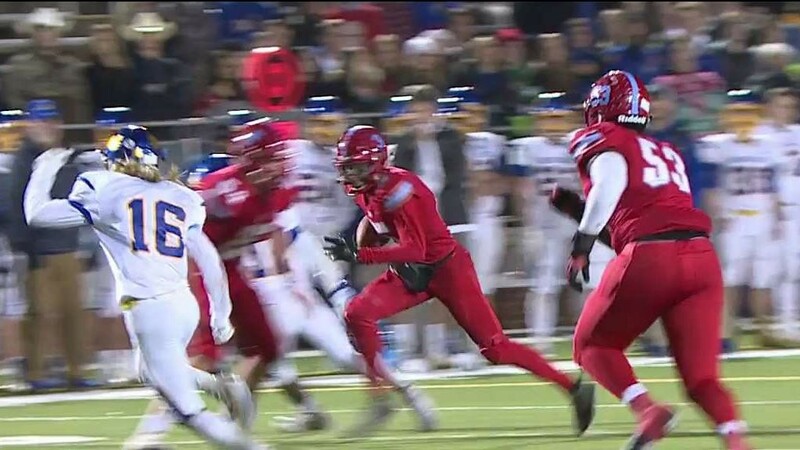 The Eagles took an early lead, but could not hold on, ultimately losing 36-29. 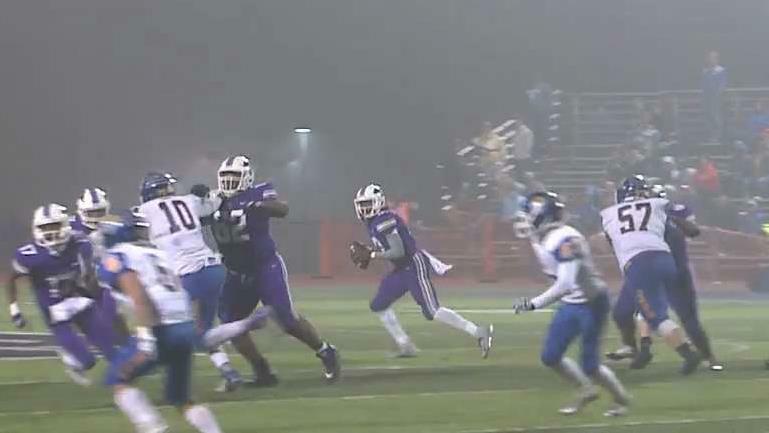 Ridge View quarterback Javon Anderson broke the single-game school record for most touchdown passes with six as Ridge View beat Lancaster 45-20 Thursday night to claim a playoff spot. 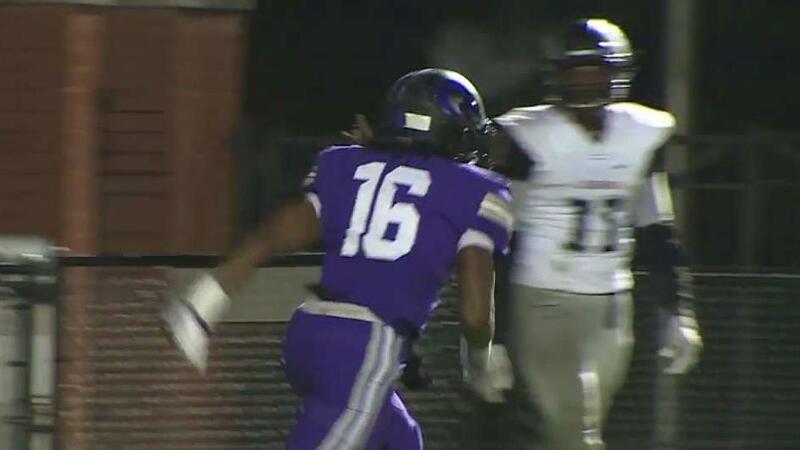 Camden clinched a spot in the 3A playoffs Thursday night, beating Keenan at home, 57-8. 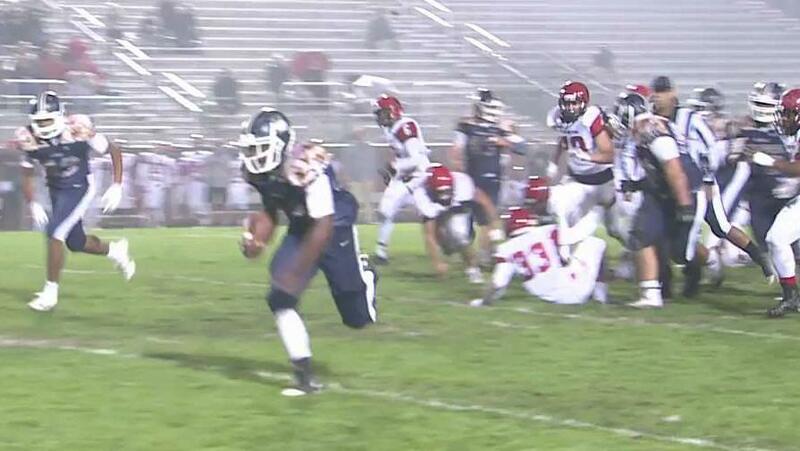 The Columbia Capitals got a big game from quarterback Jojo Puch, who threw for three touchdowns in the the Caps 35-14 win over Eau Claire Thursday night. 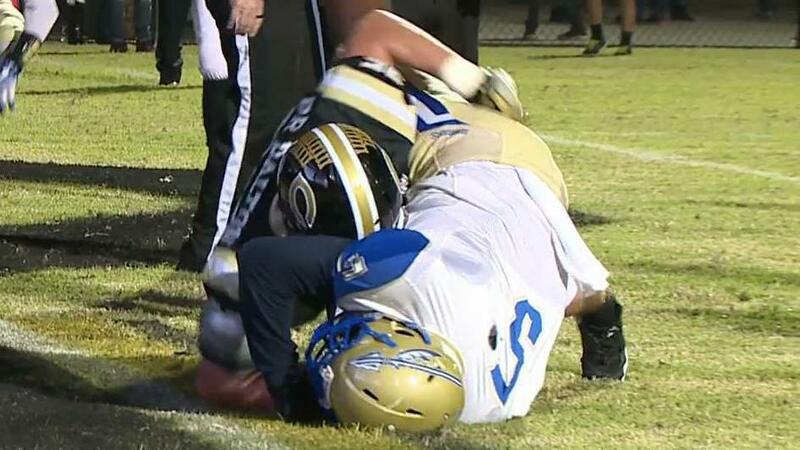 Sumter wrapped up the region 4-5A title Thursday night, holding off the Irmo Yellowjackets, 27-9 in Irmo. 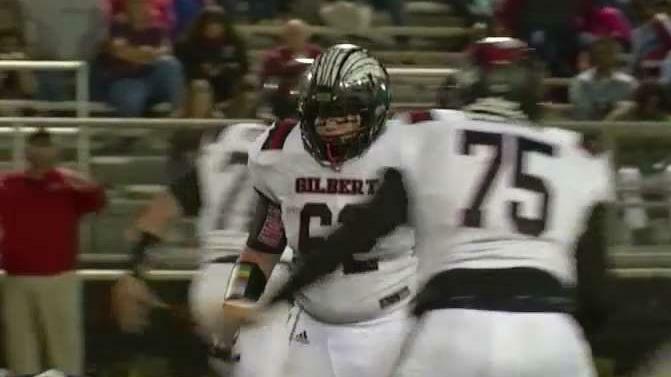 Gilbert wrapped up second place in Region 5-3A Thursday night with a big 35-7 win over Pelion. 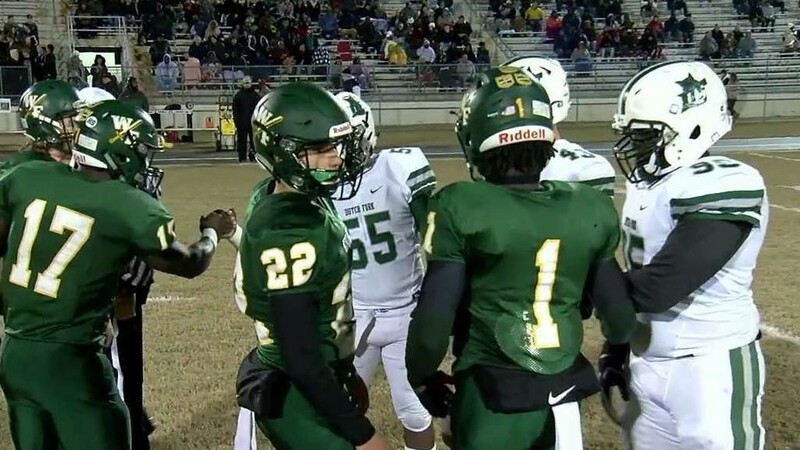 Down 27-12 in the second quarter, the Ben Lippen Falcons scored 22 unanswered points and came away with a 34-27 win over Cardinal Newman Thursday night. 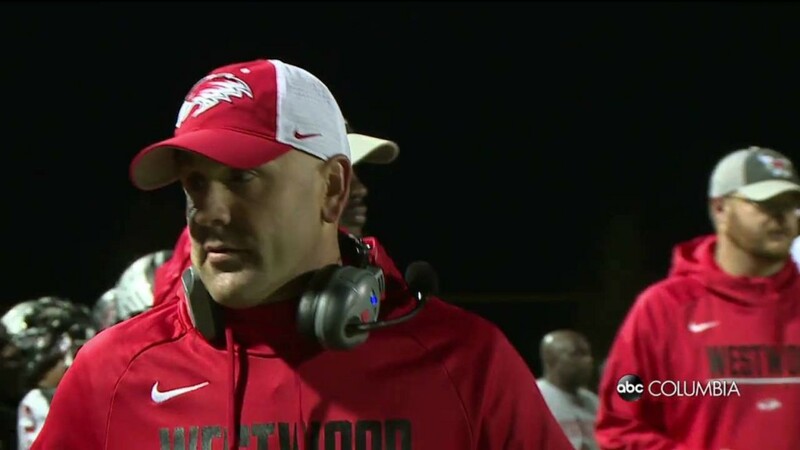 Westwood and RNE are both out of playoff contention, but that didn't stop the Redhawks from rolling past the Cavs, 38-3 Thursday night. 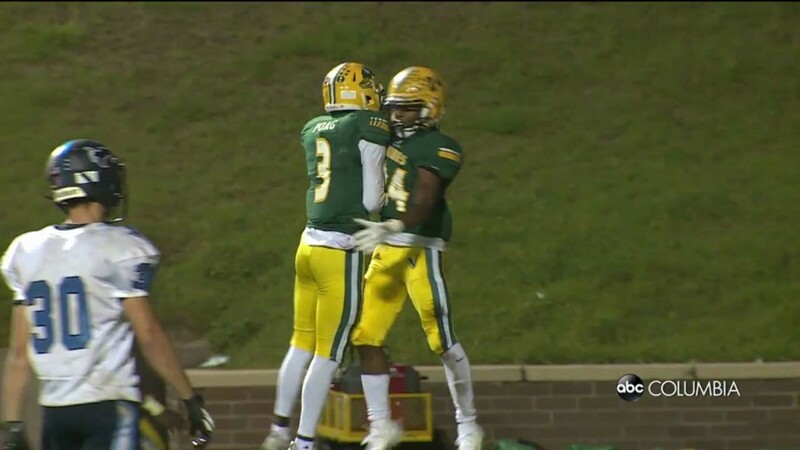 The Gators capitalized on early mistakes and turnovers by the Wildcats to jump out to an early lead and never looked back, ultimately winning 35-21 win. 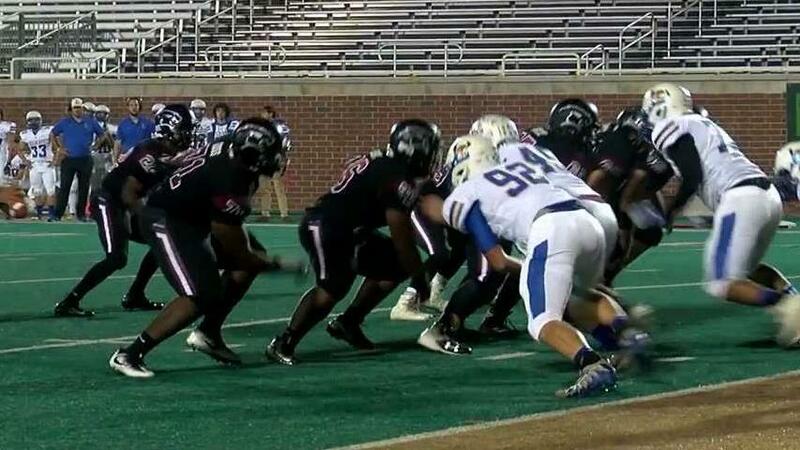 The Blue Devils got the first score of the game, but after that it was all Falcons as they won 55-14. 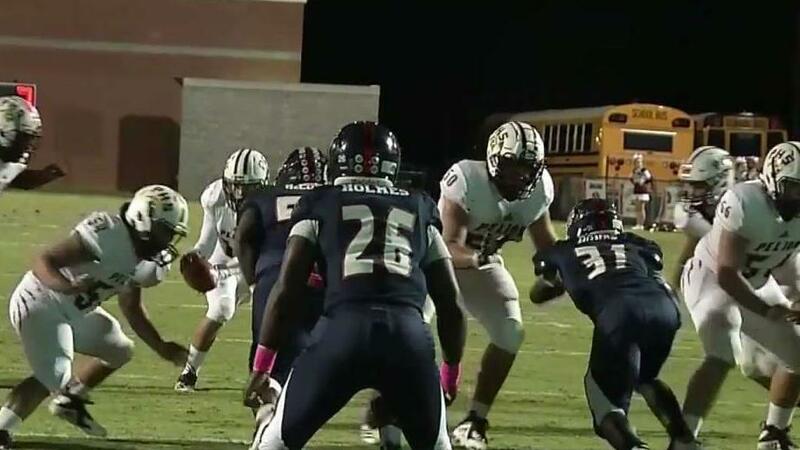 The Hammond Skyhawks capped a perfect regular season, beating Heathwood Hall, 42-7 Thursday night. 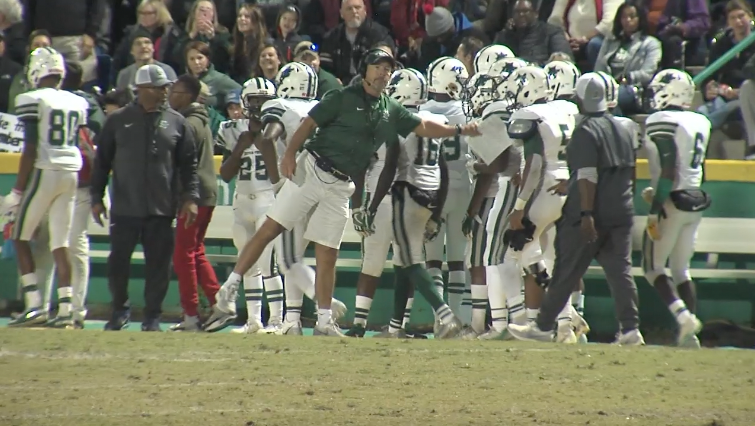 The undefeated Dutch Fork Silver Foxes would not be denied an undefeated regular season, blowing past White Knoll, 62-0 Thursday night to improve to 8-0 while giving coach Tom Knotts his 100th win with the Silver Foxes. 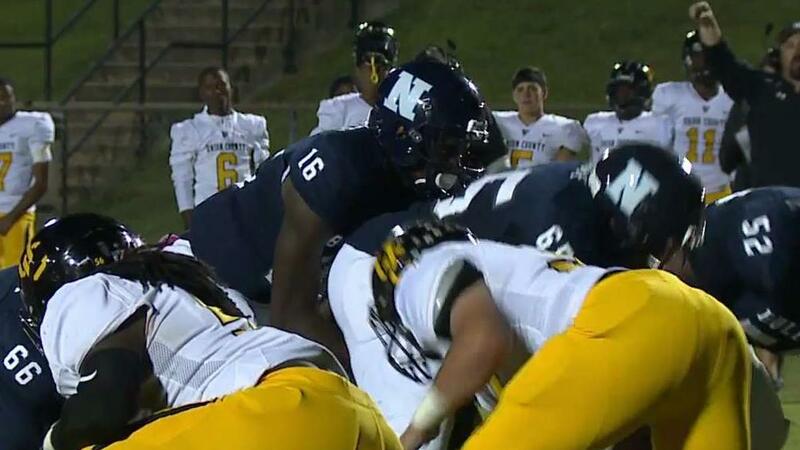 The Newberry Bulldogs capped the regular season with a 44-6 win over rival Mid-Carolina Thursday night. 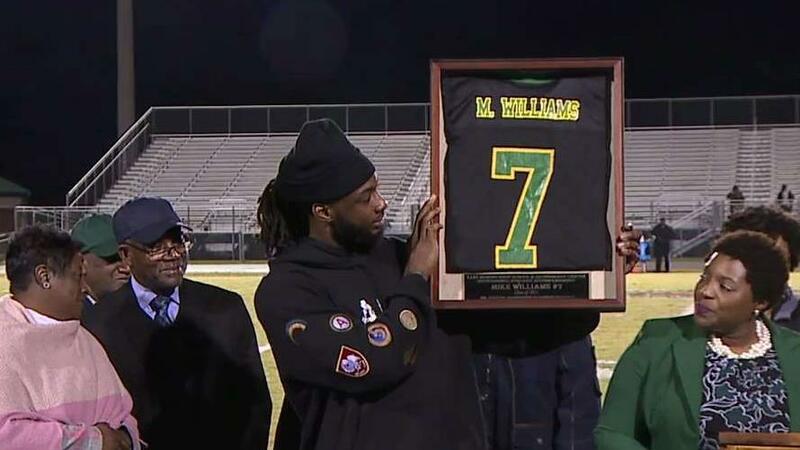 Lake Marion honored one of its famous alums Friday night. 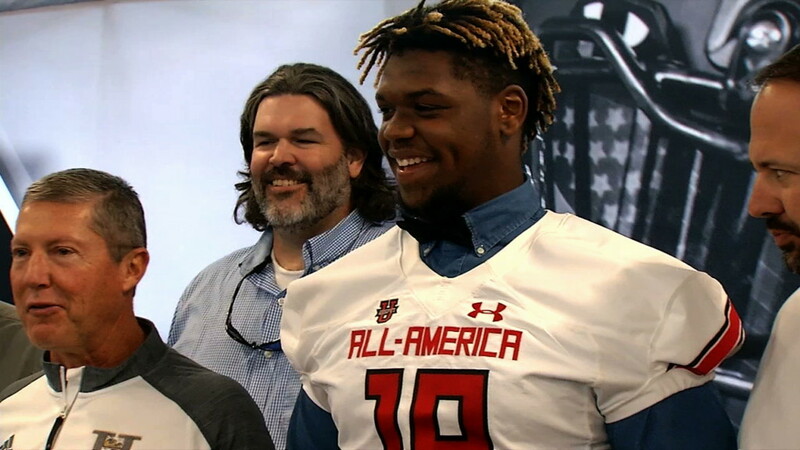 The American Family Insurance Selection Tour for the 2019 Under Armour All-America High School Football Game visited T.L. 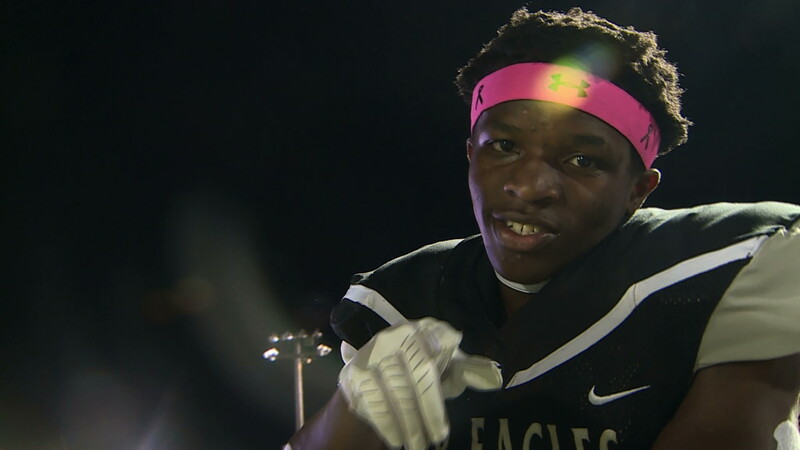 Hanna High School on Thursday to formally present senior Zacch Pickens with an honorary game jersey commemorating his selection to the 2019 Under Armour All-America Game. 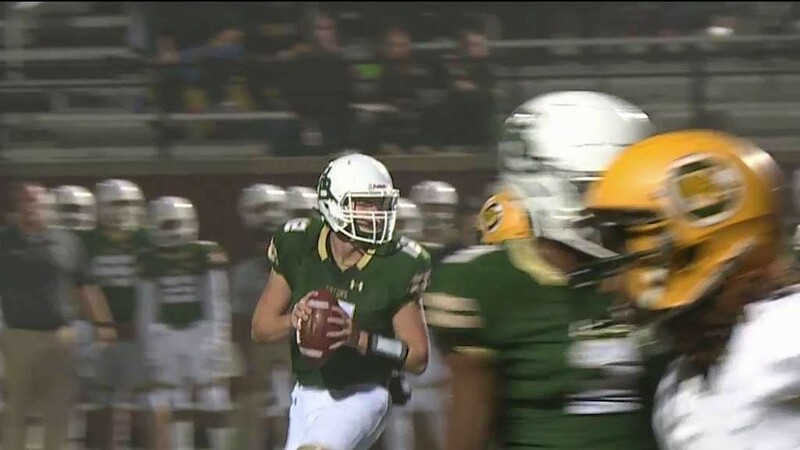 Only three touchdowns were scored all night between Ben Lippen and Porter-Gaud, but the Cyclones outlasted the Falcons 14-7. 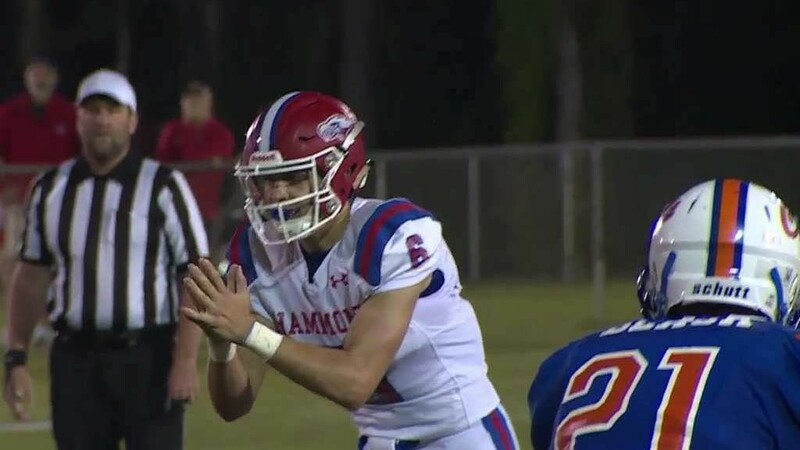 Hammond continues to roll through their 2018 schedule, defeating Cardinal Newman Friday night by five scores, 63-27. 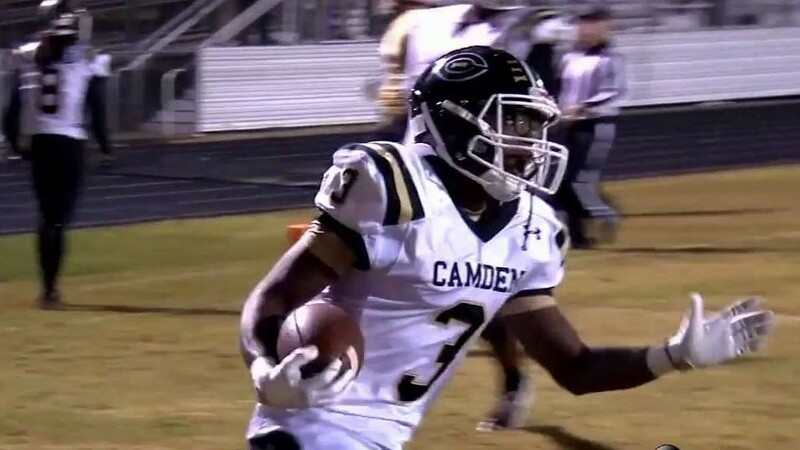 Thomas Green ran put up four touchdowns for Columbia, leading the Capitals to a big 26-24 win over Calhoun County Friday night. 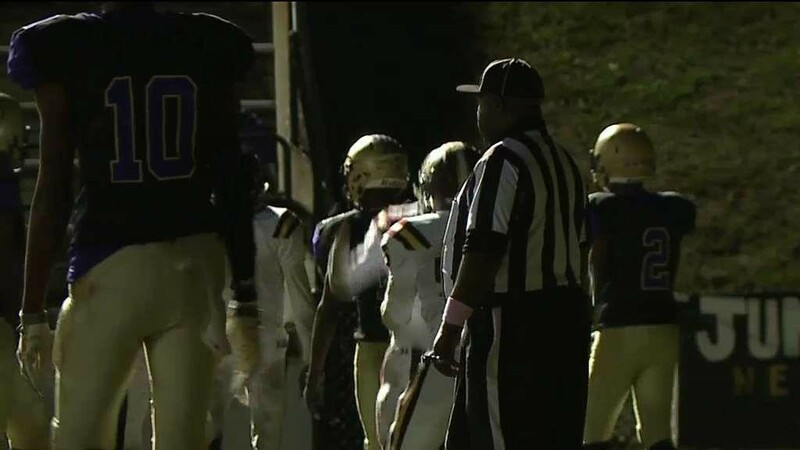 Batesburg-Leesville took care of facing a Fox Creek team that's yet to come out on top in a district game, winning 36-13. 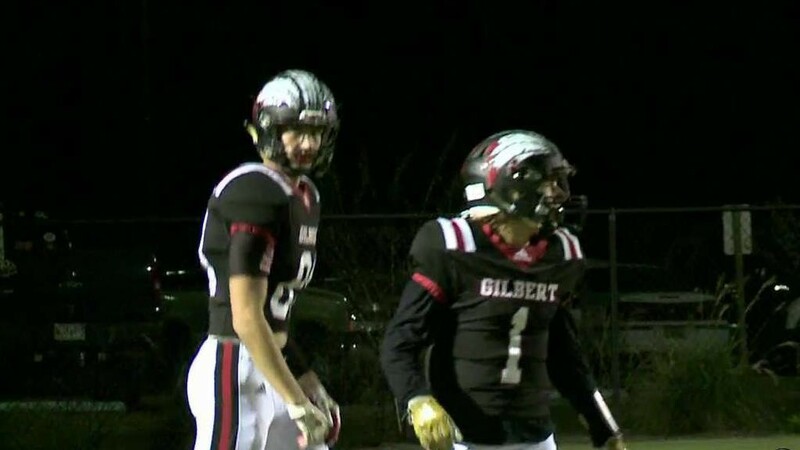 Josh Strickland threw two touchdowns, Cody Temple and Jy Tolen each added one, as Gilbert smashed Edisto, 48-19 Friday night. 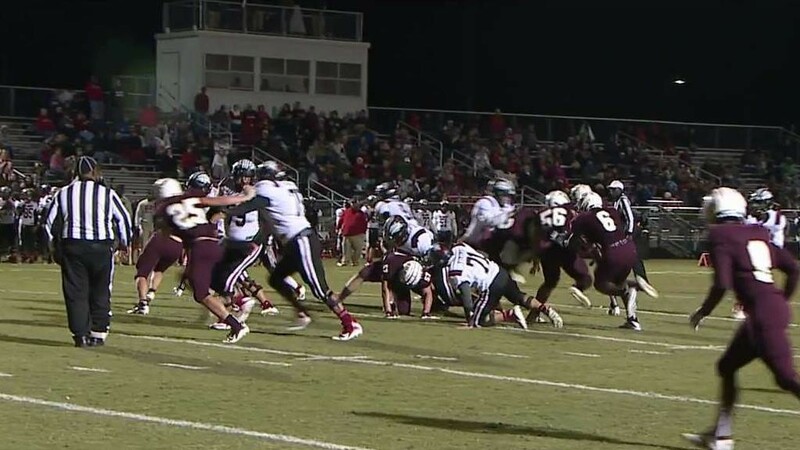 Pelion dropped their second-straight district game, falling Friday night to Strom Thurmond 31-13. 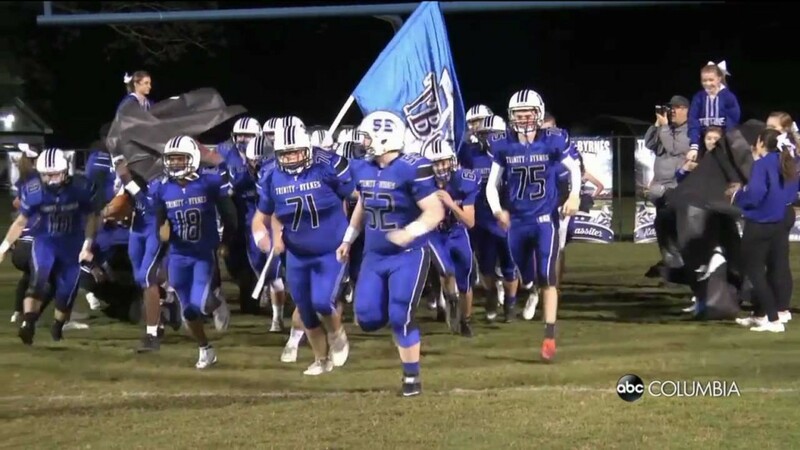 Indian Land and Camden entered Friday night with the same record in Class 3A District 4's standings, but the Warriors created separation with a 20-14 week nine win. 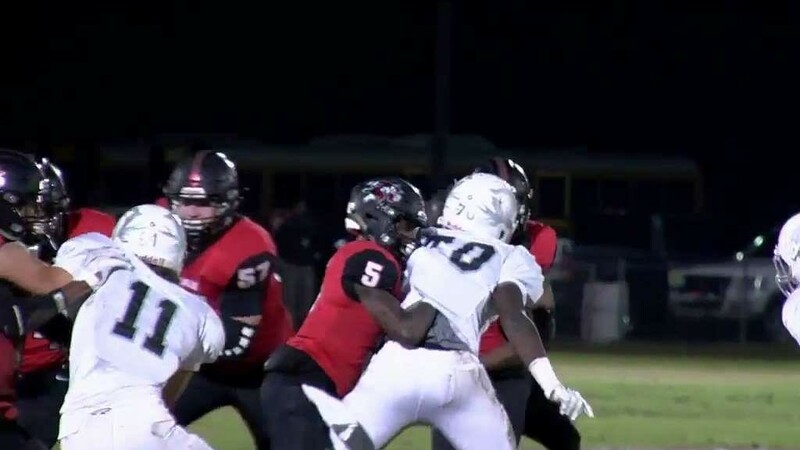 Fairfield Central's playoff chances took a hit against undefeated and district leading Chester Friday night, as the Cyclones stayed perfect on their way to a 34-15 road victory. 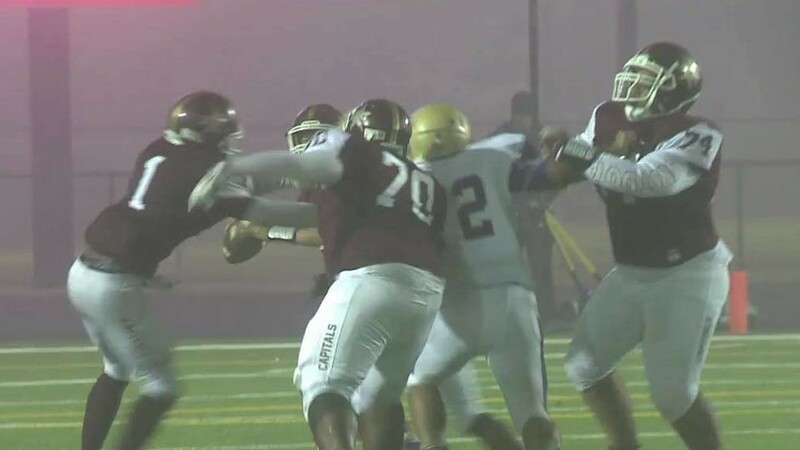 A slow first half, which ended in a 7-7 tie, quickly turned into a fun second half Friday night, at least for the away team. 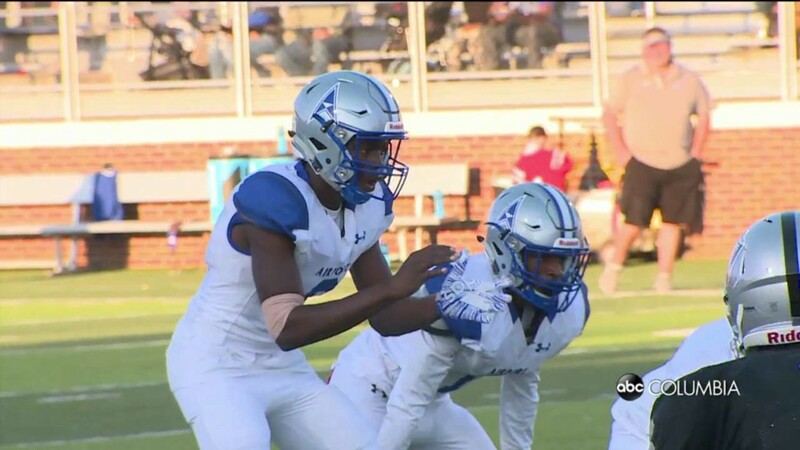 Dreher won their third-straight game, improving to 3-1 in Class 4A Region 4, handing Lakewood their fifth-straight loss, as the Blue Devils won 21-19. 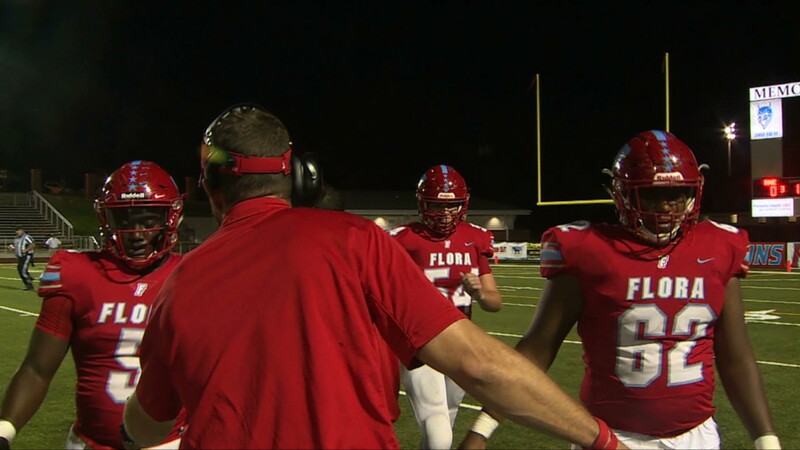 After striking and capitalizing on turnovers and big plays in the first quarter, A.C. Flora kept momentum to pull off a big road win over district rival Lower Richland, 38-12. 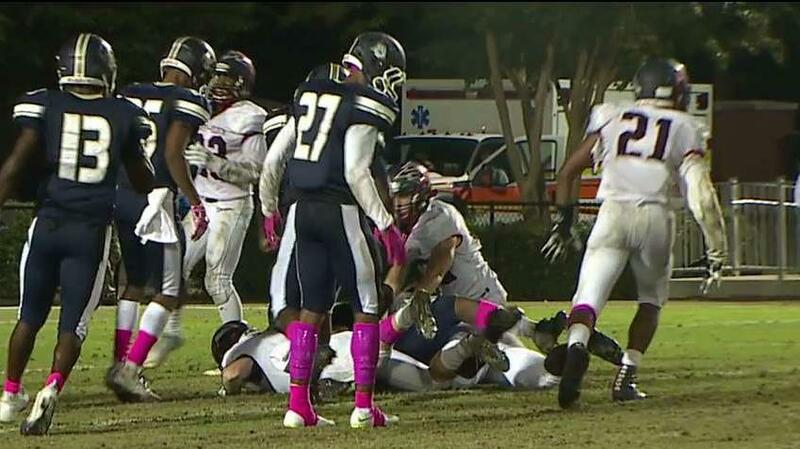 That being said, it certainly was not easy for Gators as they found themselves losing in the fourth quarter. 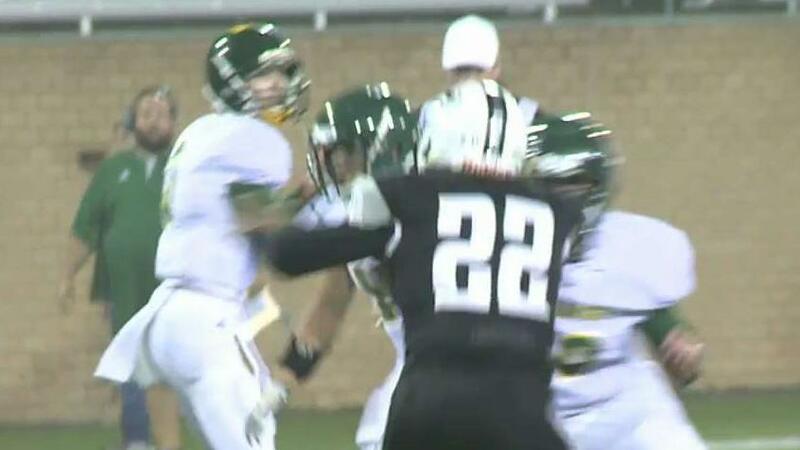 However, they rallied to defeat the Timberwolves 24-13. 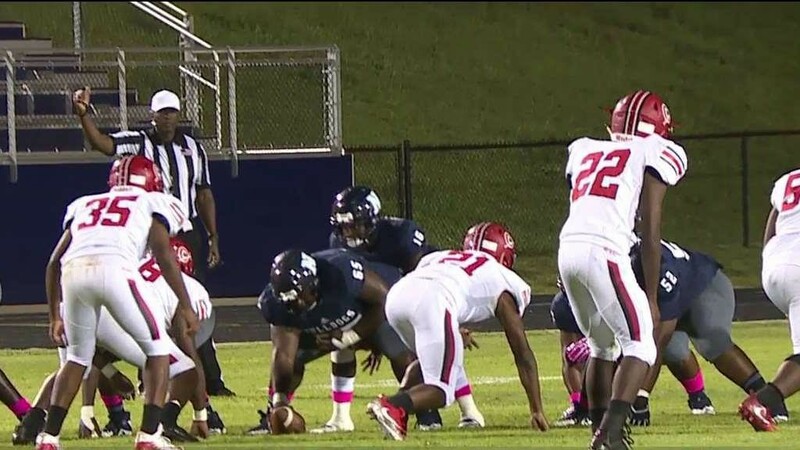 Blythewood controlled and contained Lugoff-Elgin through nearly the entirety of their matchup Friday night, defeating the Demons 31-7. 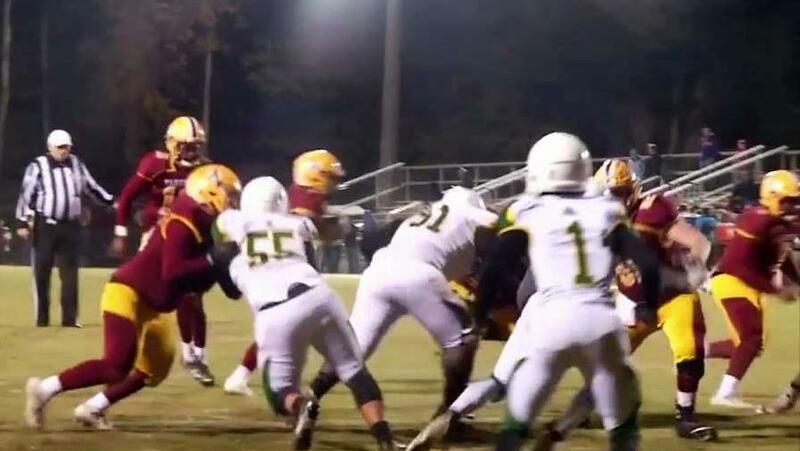 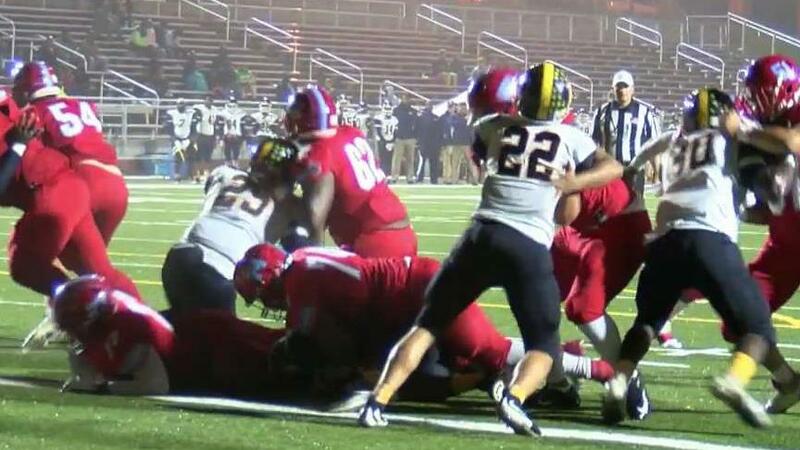 Gray Collegiate wasn't going to be stopped from the minute the whistle blew Thursday night. 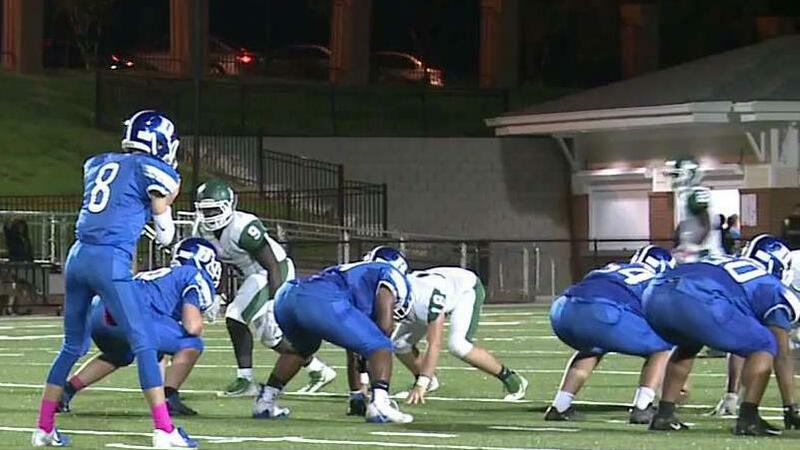 Cardinal Newman kept their pace near the top against Wilson Hall. 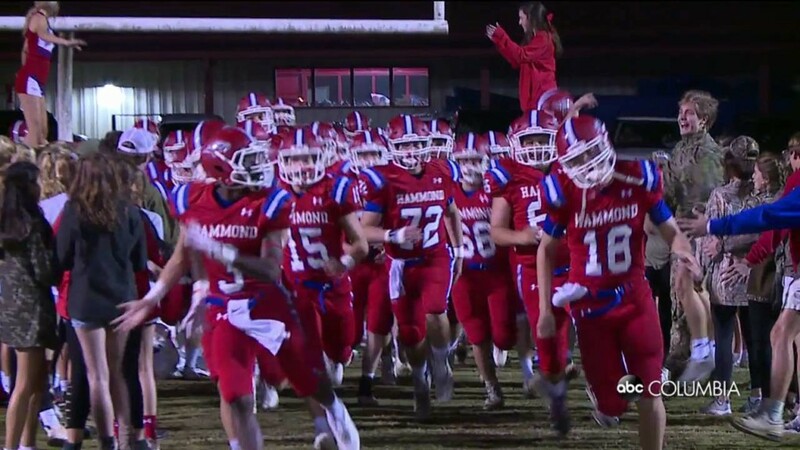 Hammond led by 41 at the break and didn't need to score a single point in the second half to defeat Laurence Manning 41-23 Friday night. 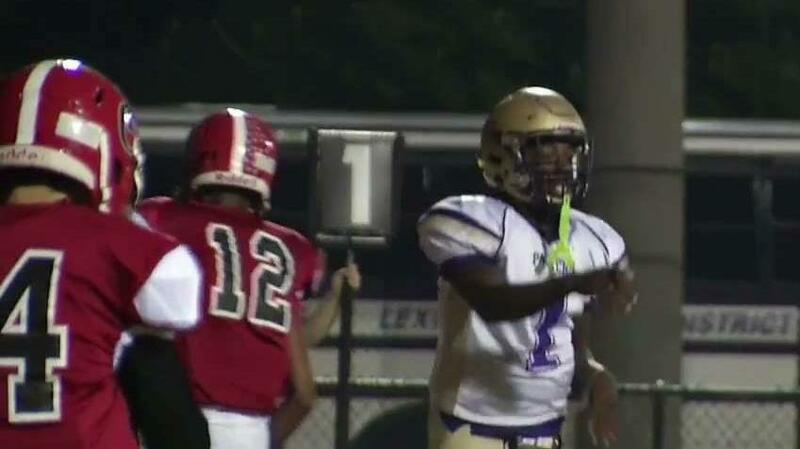 Ninety-Six goes on to best Batesburg-Leesville, 35-12. 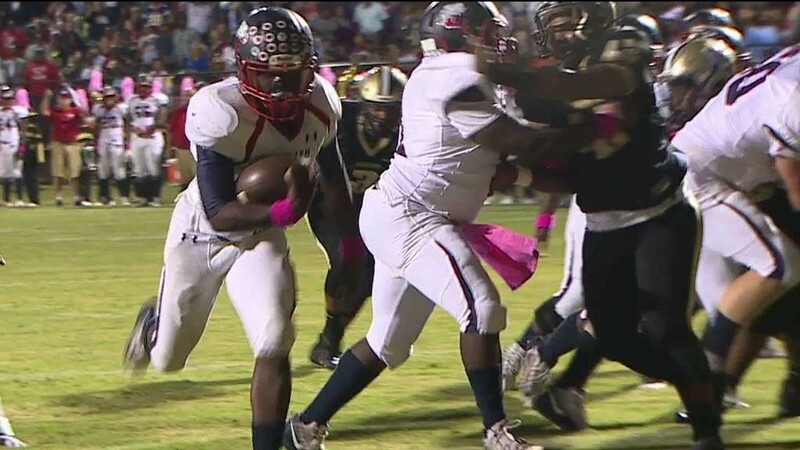 Strom Thurmond had a double-digit lead over Gilbert in the second half and held on to top the Indians 18-13 Friday night. 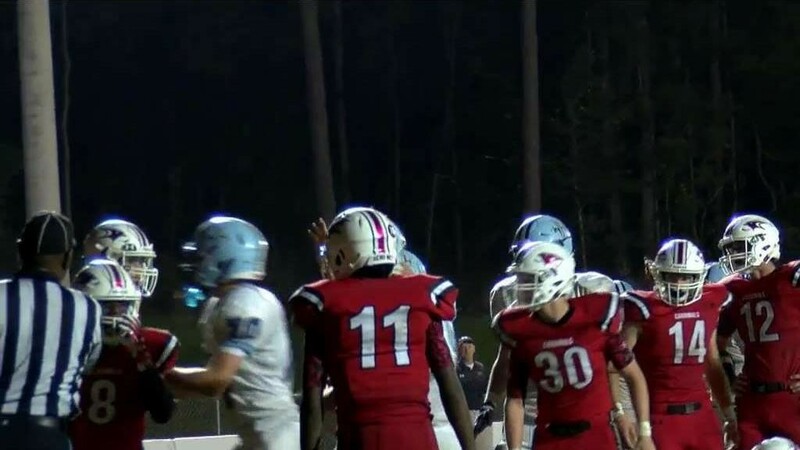 Newberry scored first and led for the length of their week eight game against Clinton, as the Bulldogs bested the Red Devils 49-12. 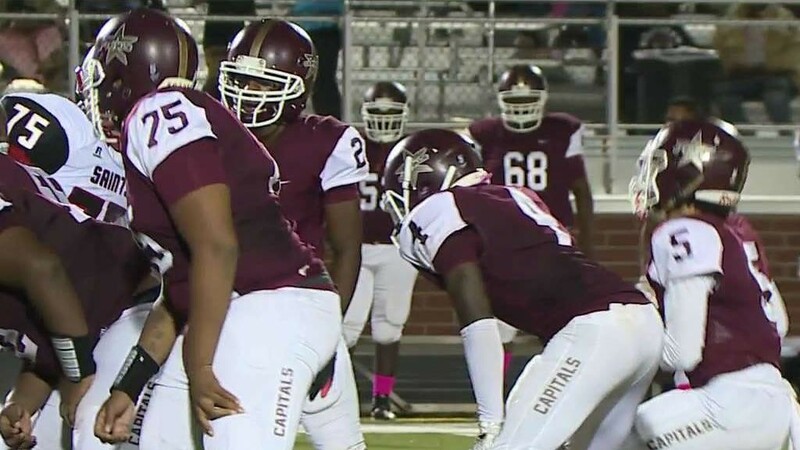 Facing a winless Midland County team, Brookland-Cayce opened scoring to their game Friday night on a 28-0 run, as the Bearcats bested the Mustangs 31-13.